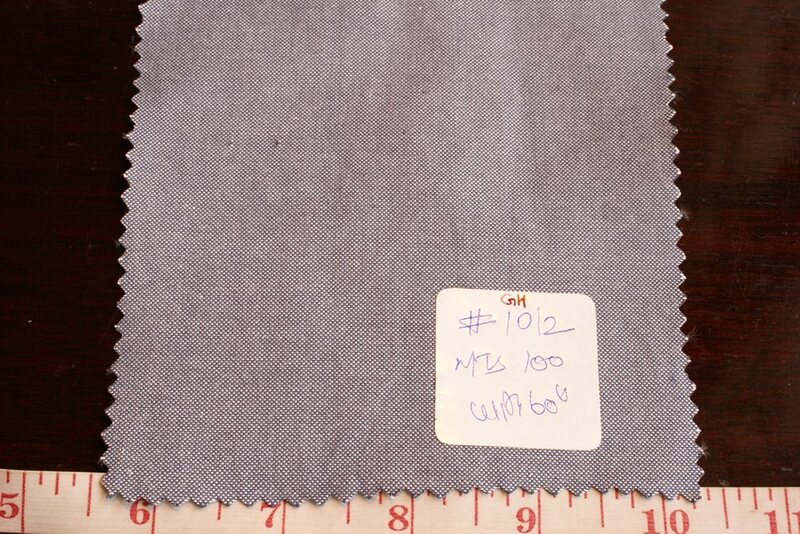 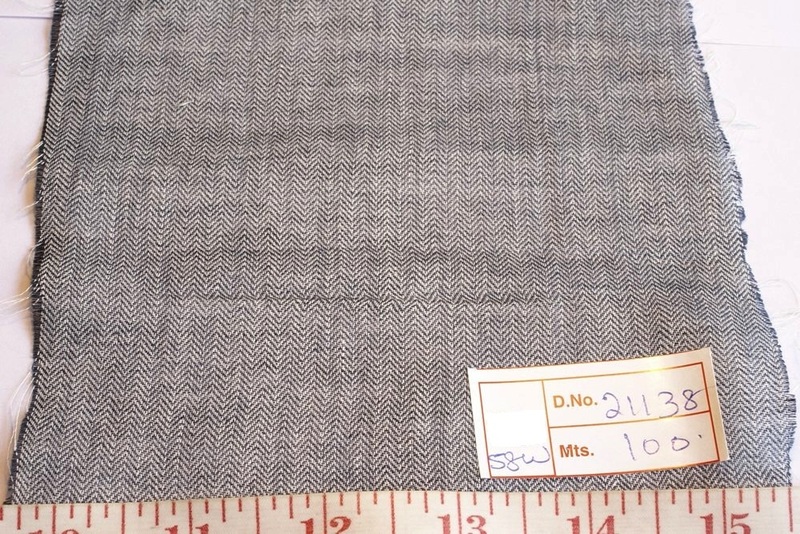 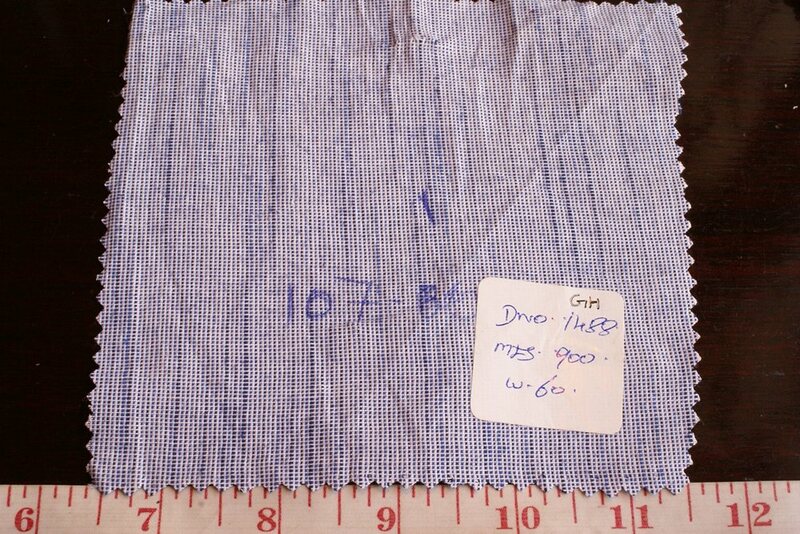 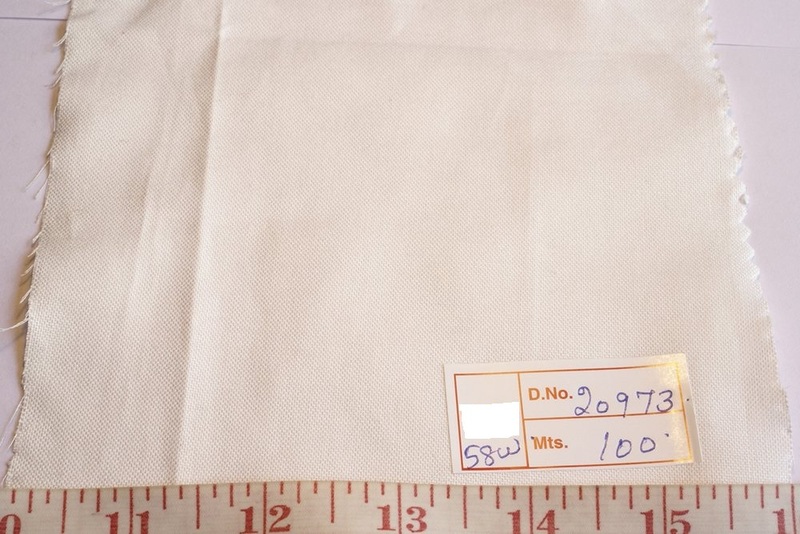 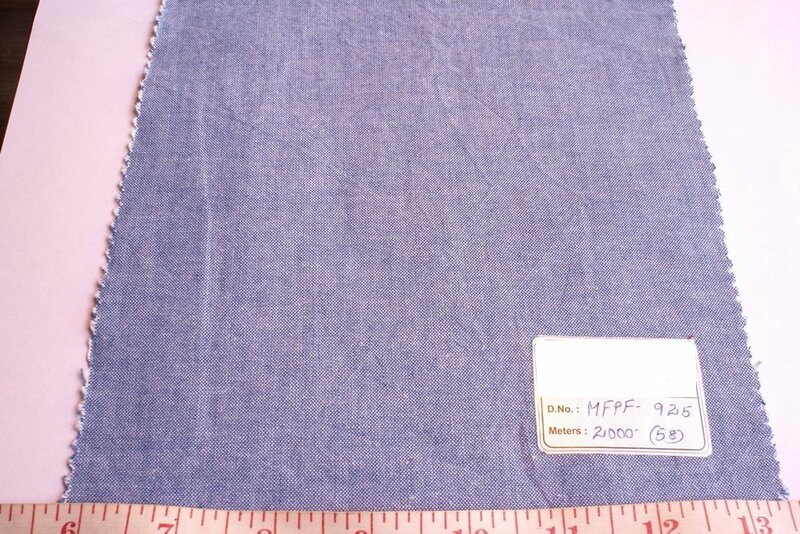 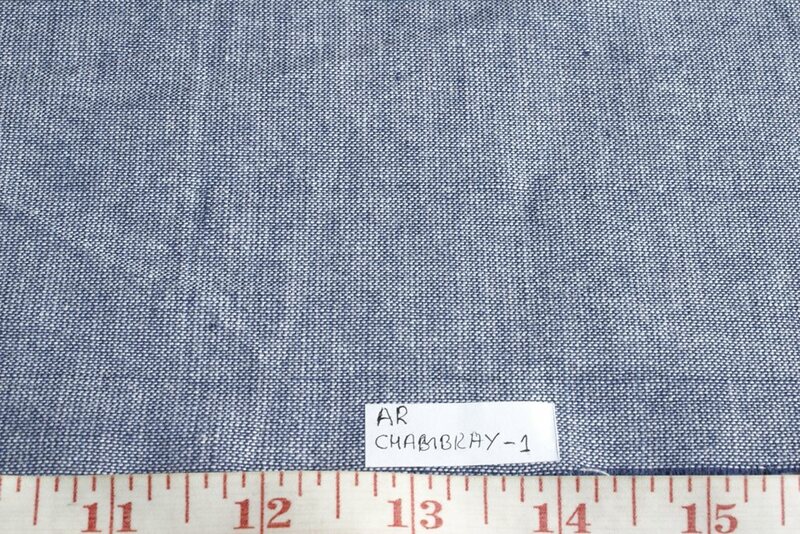 Chambray fabric is a light woven fabric, comprising of a colored / dyed yarn in the warp, woven with a white yarn thread in the weft, imparting it that classic denim look. 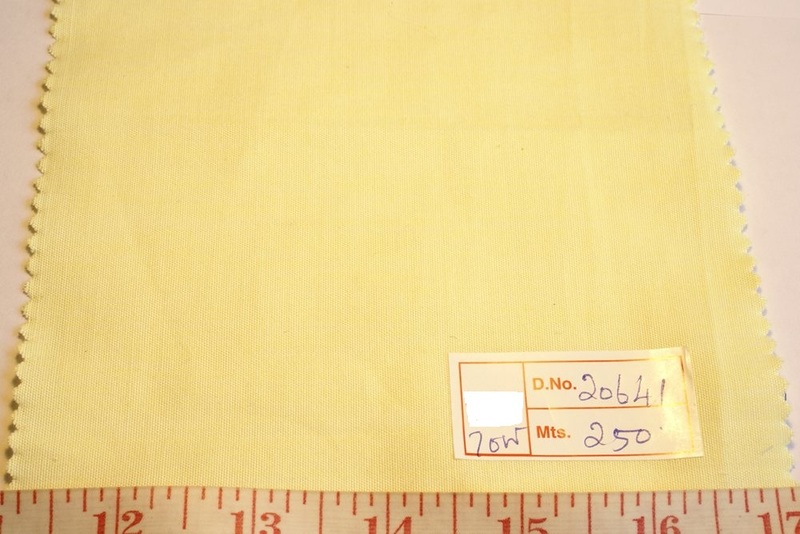 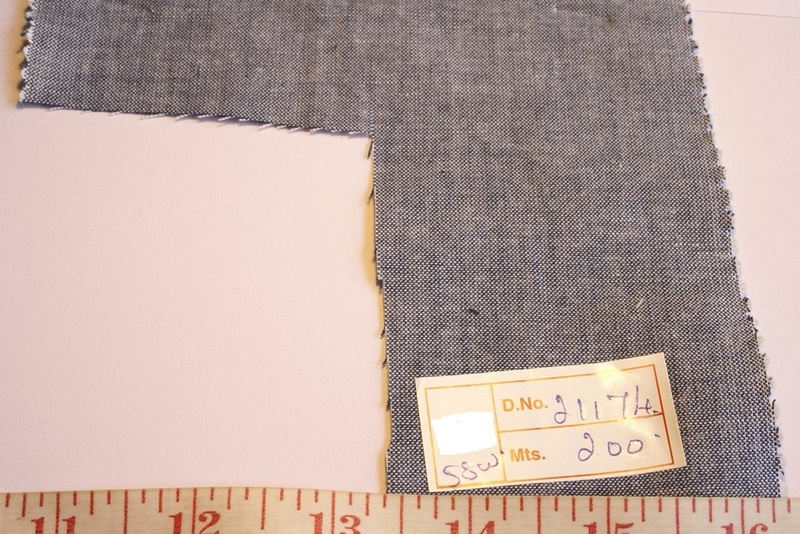 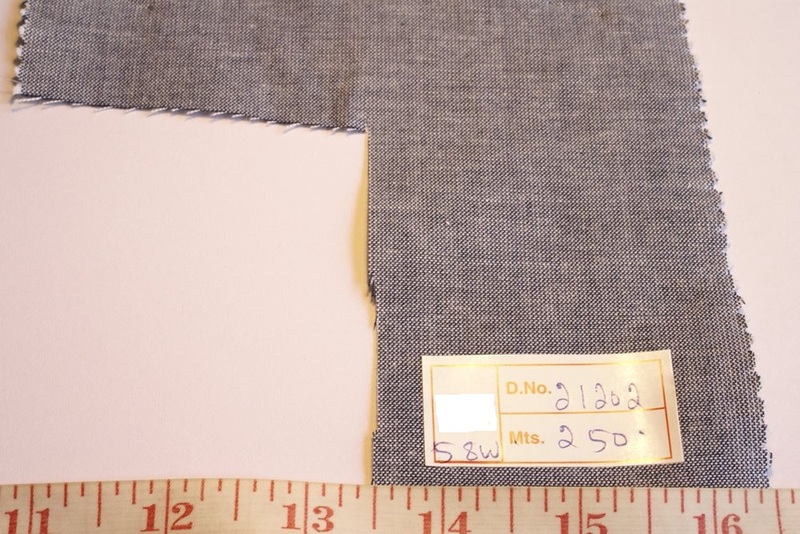 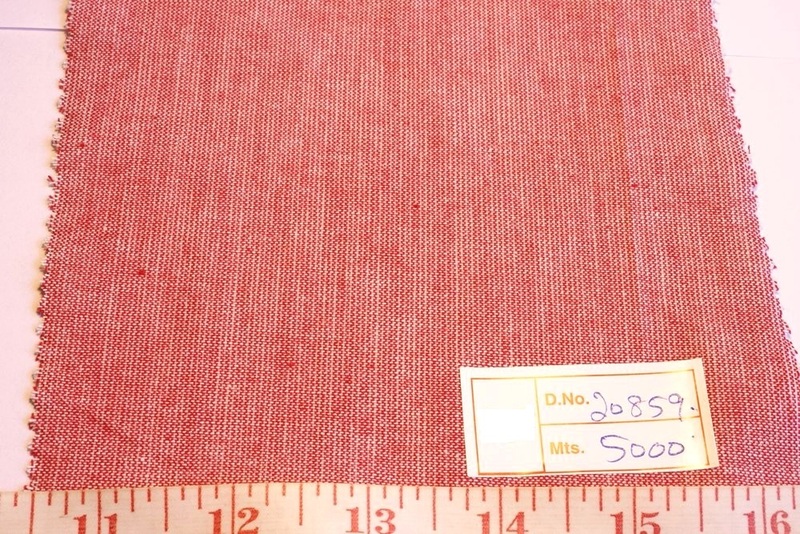 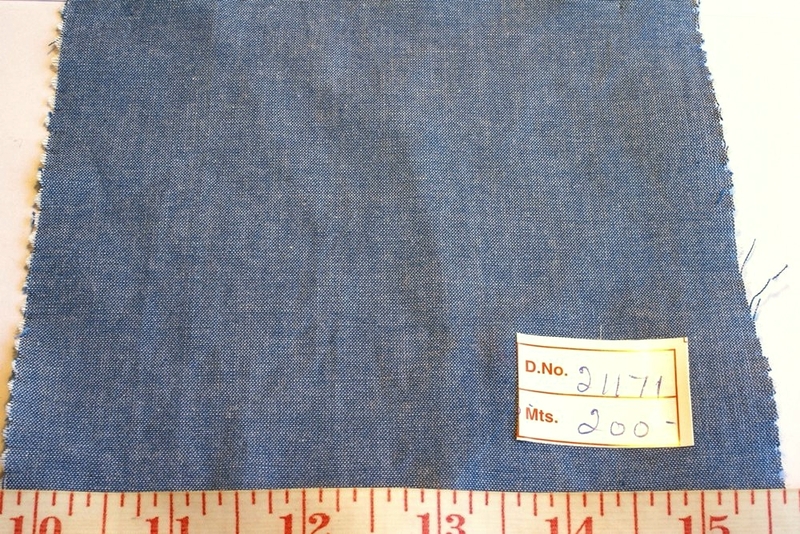 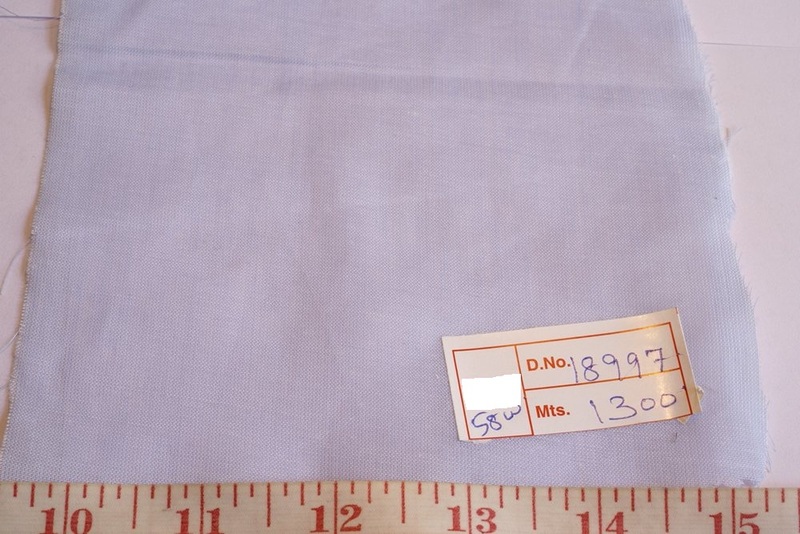 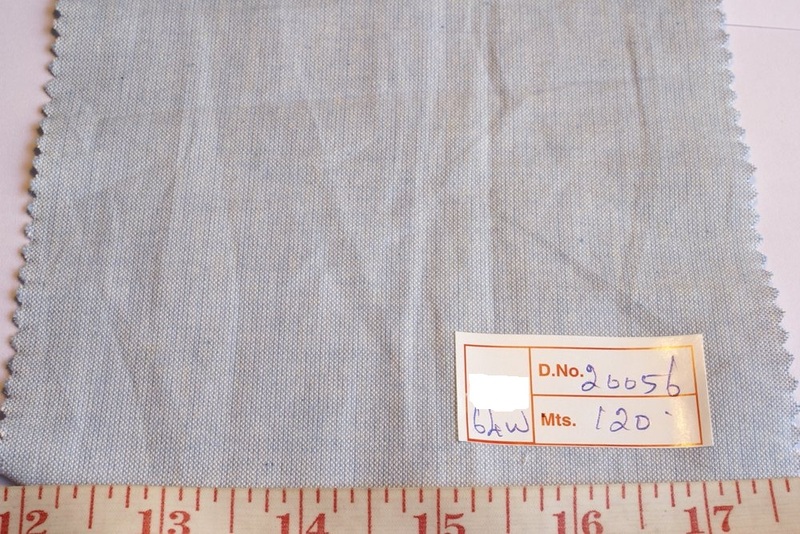 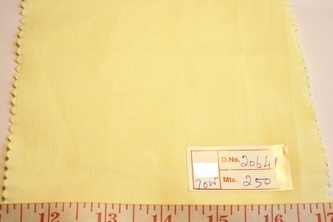 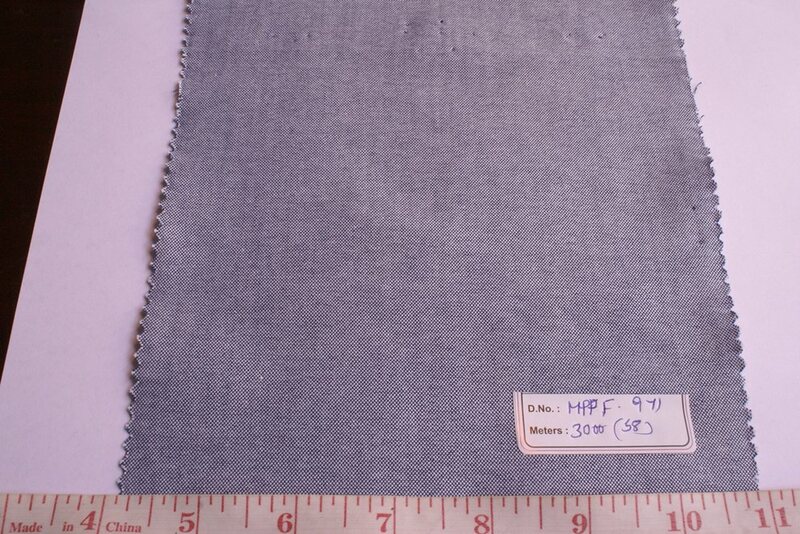 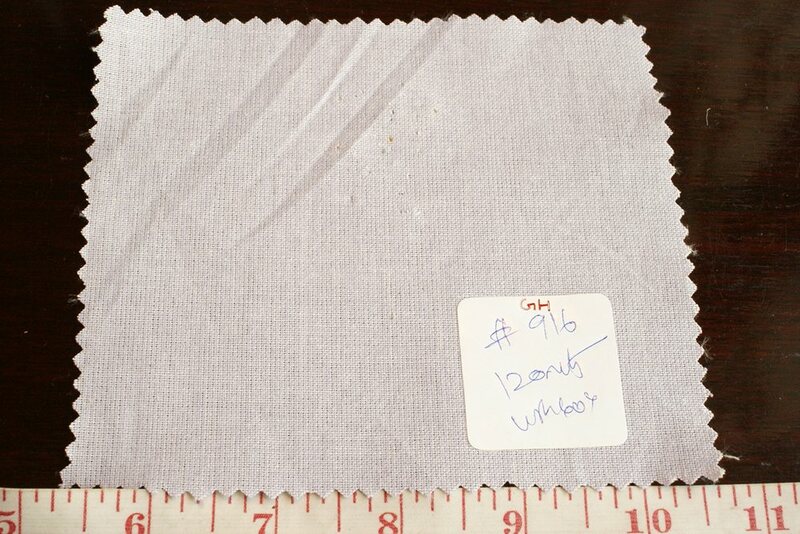 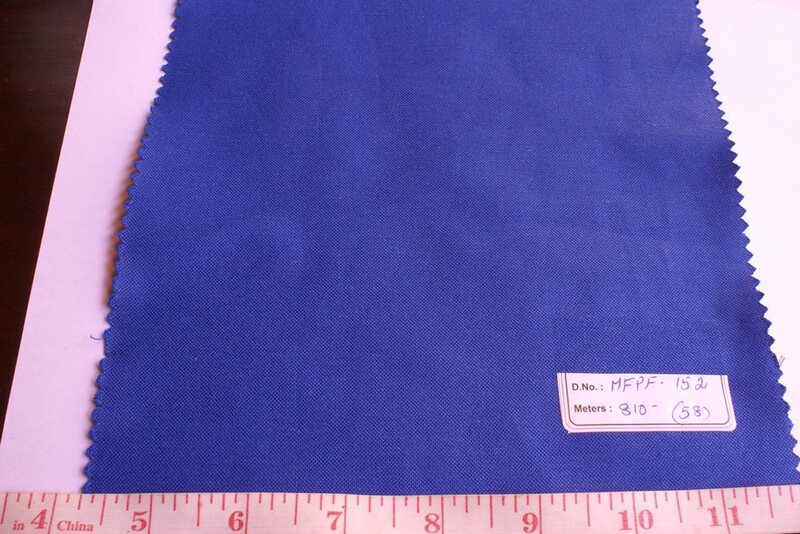 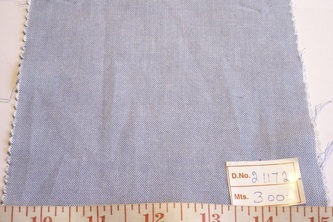 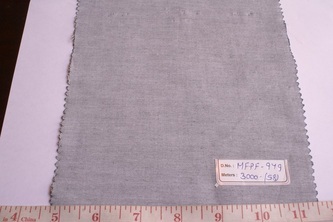 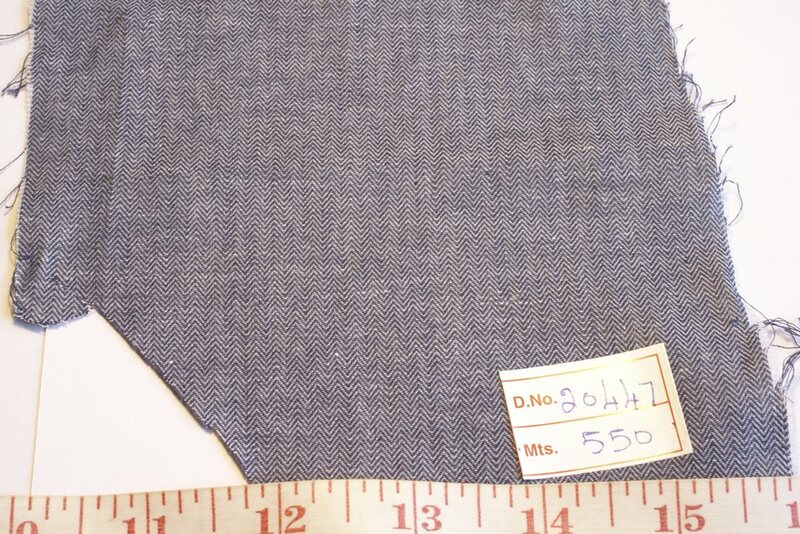 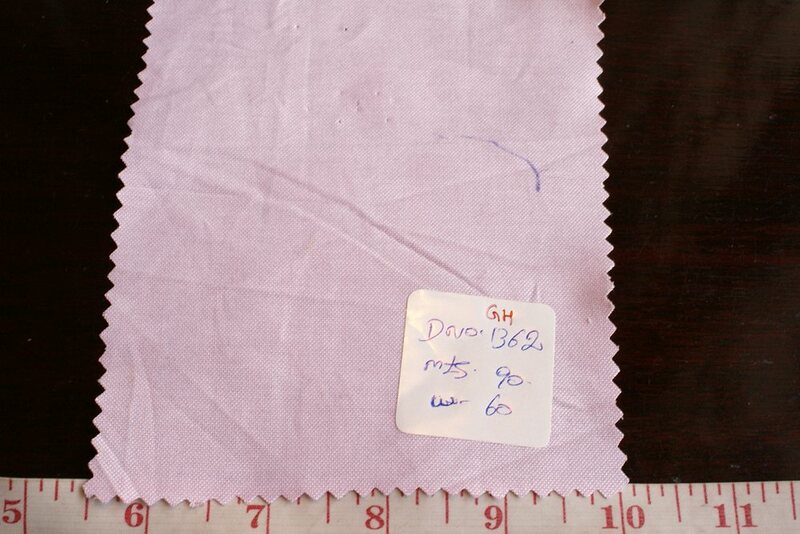 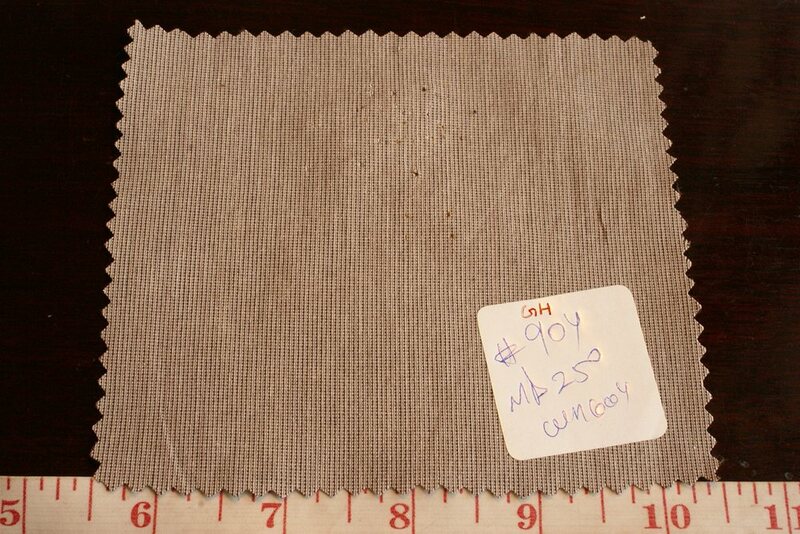 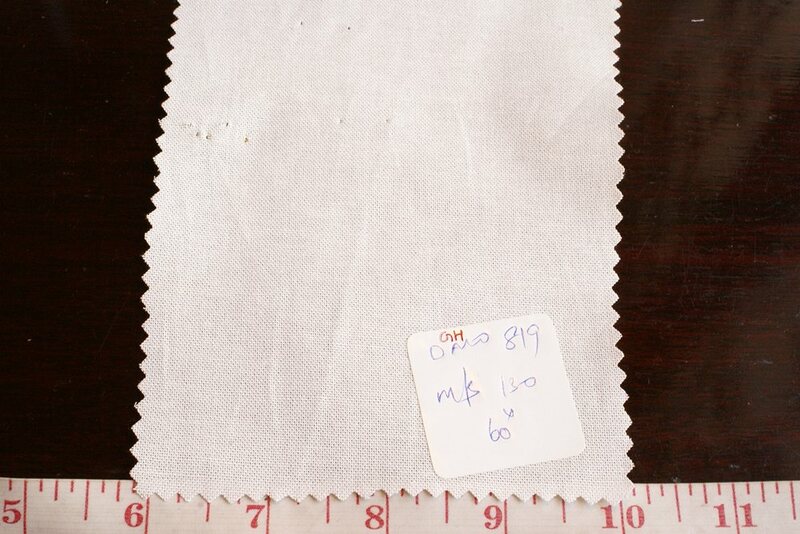 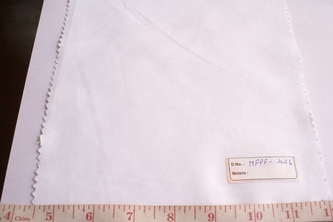 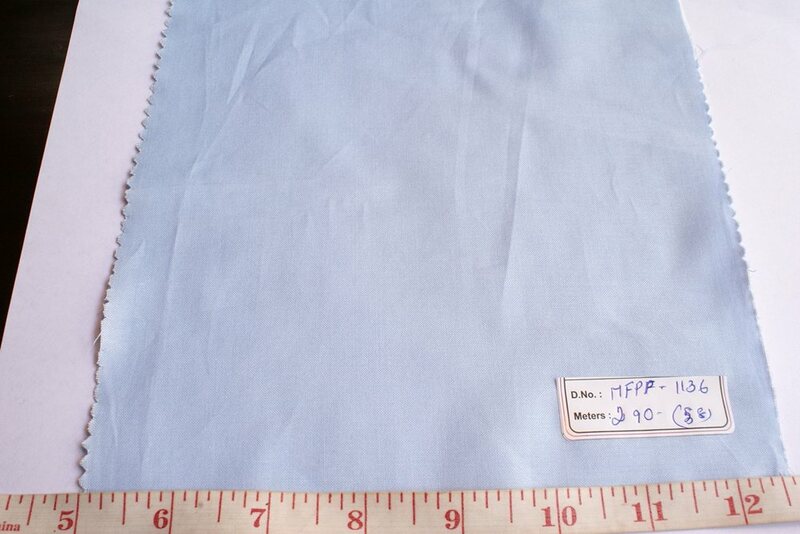 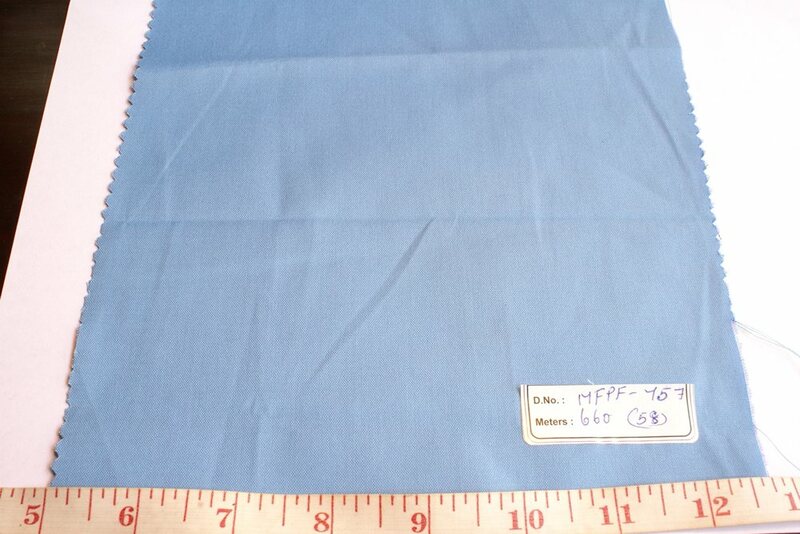 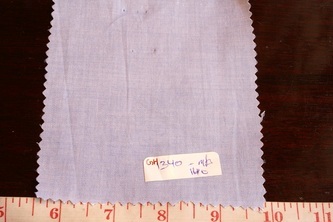 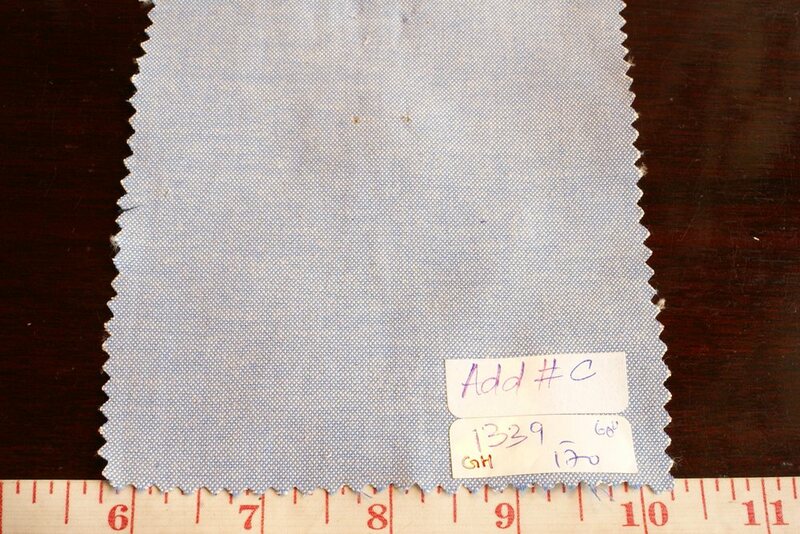 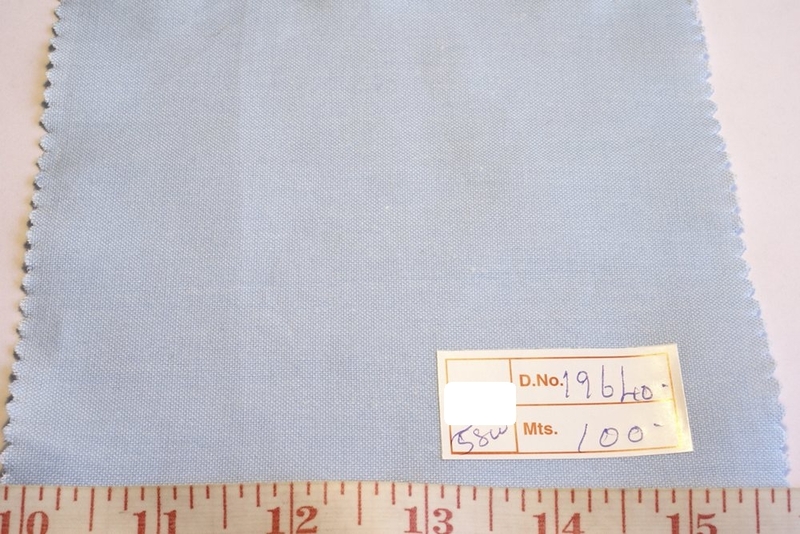 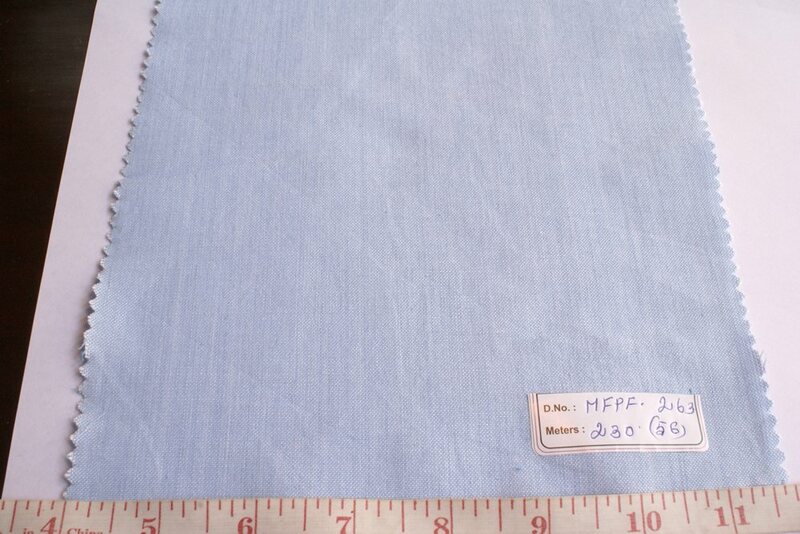 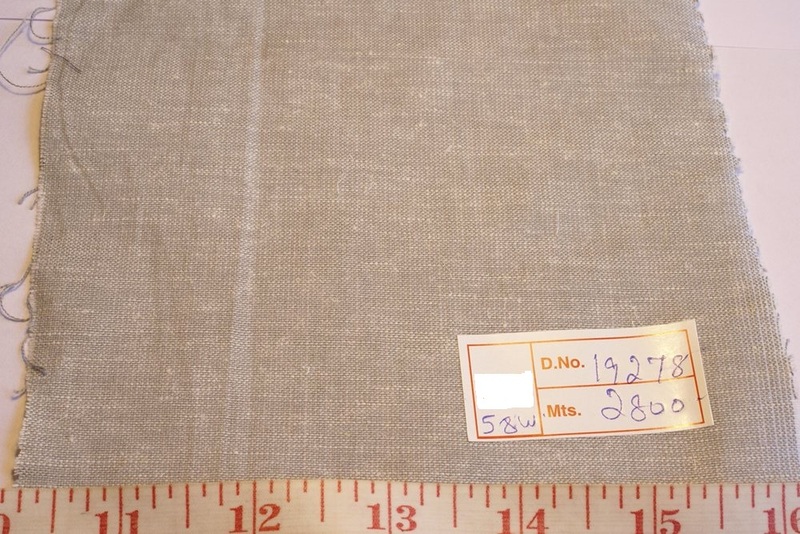 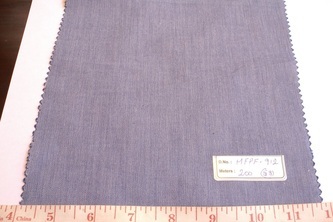 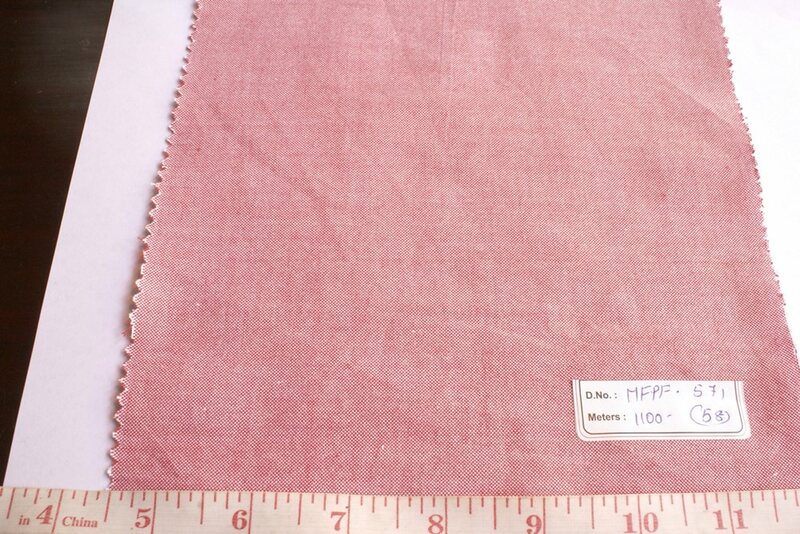 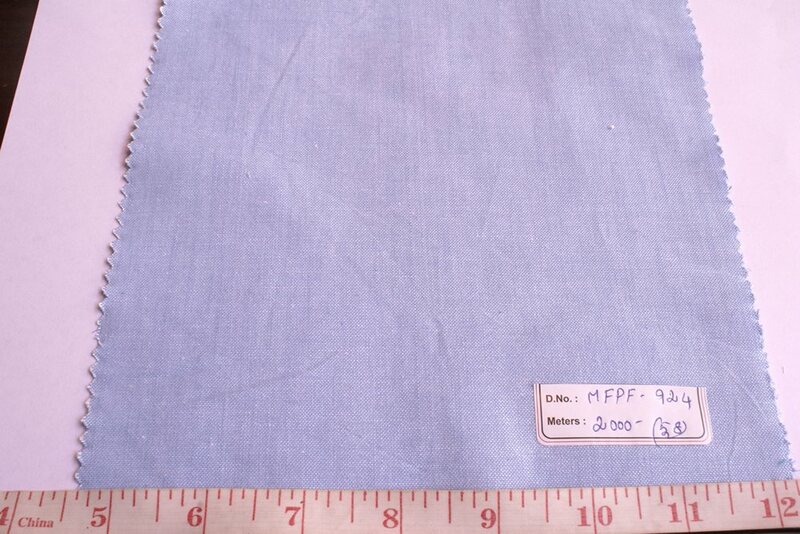 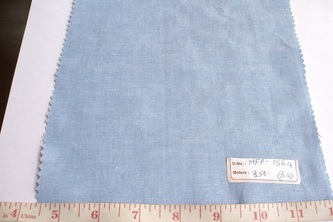 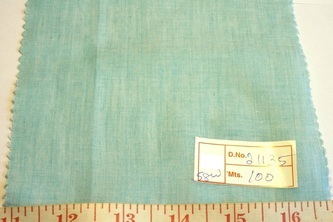 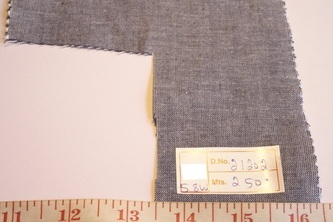 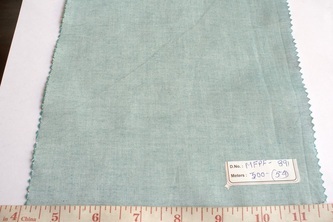 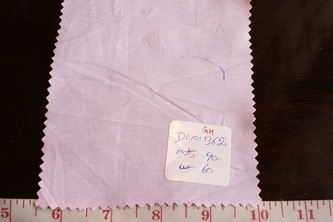 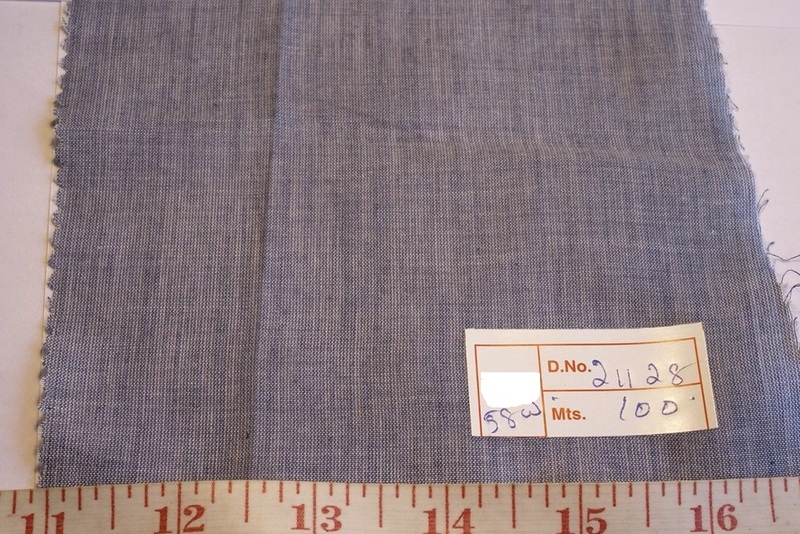 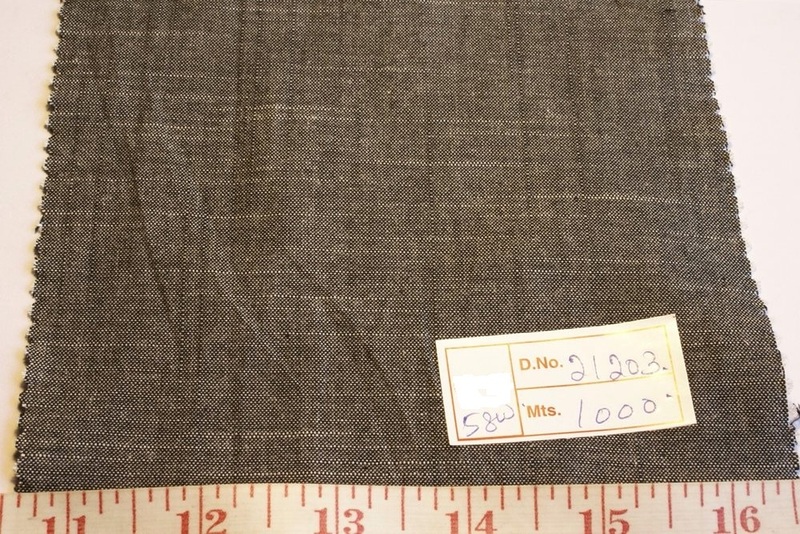 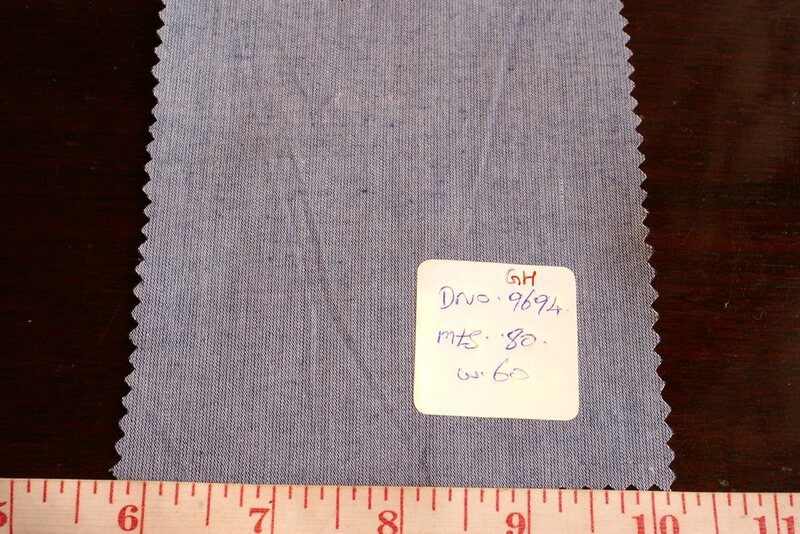 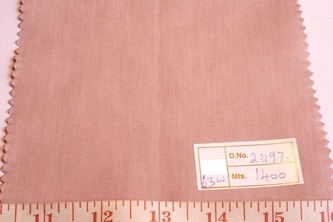 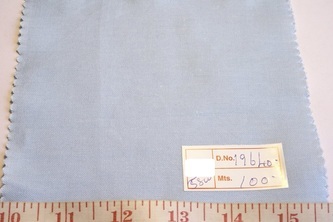 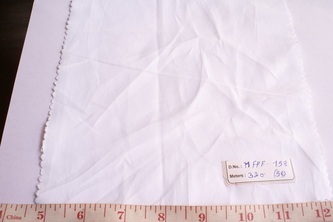 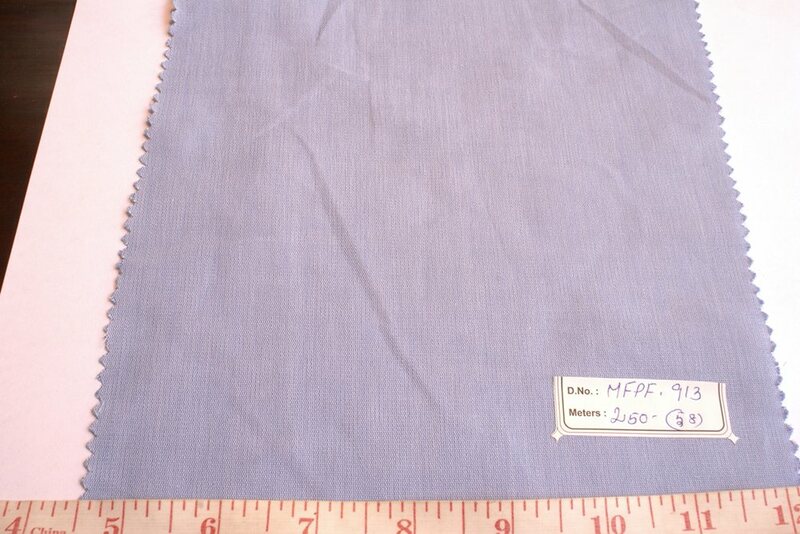 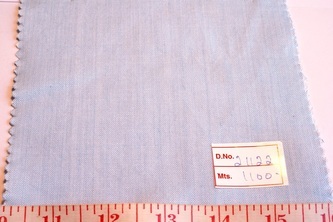 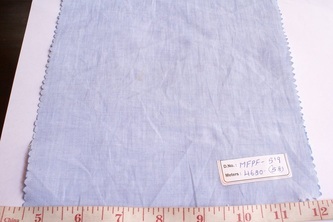 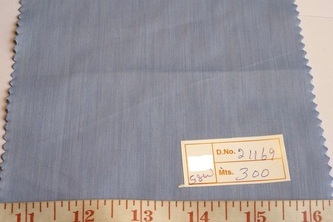 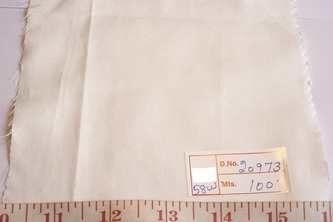 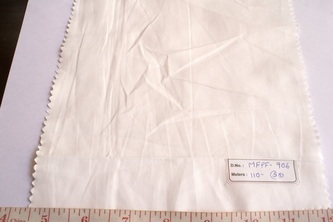 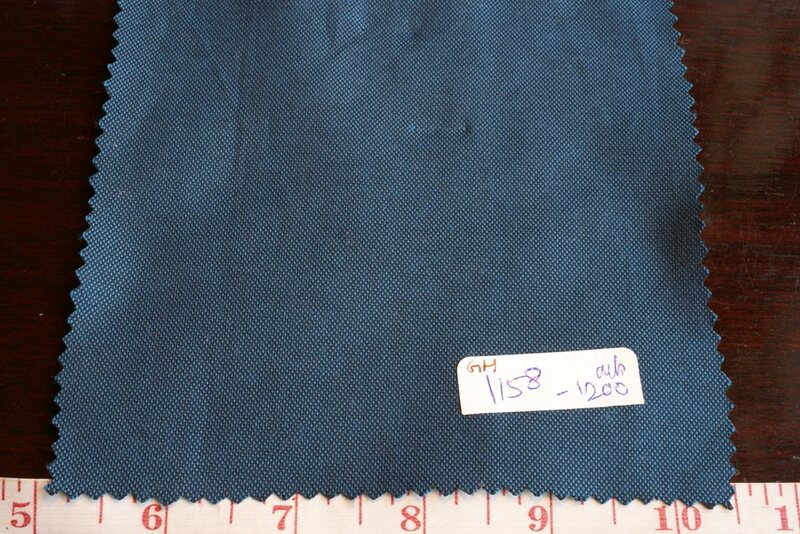 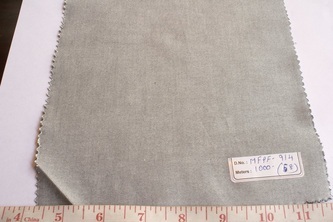 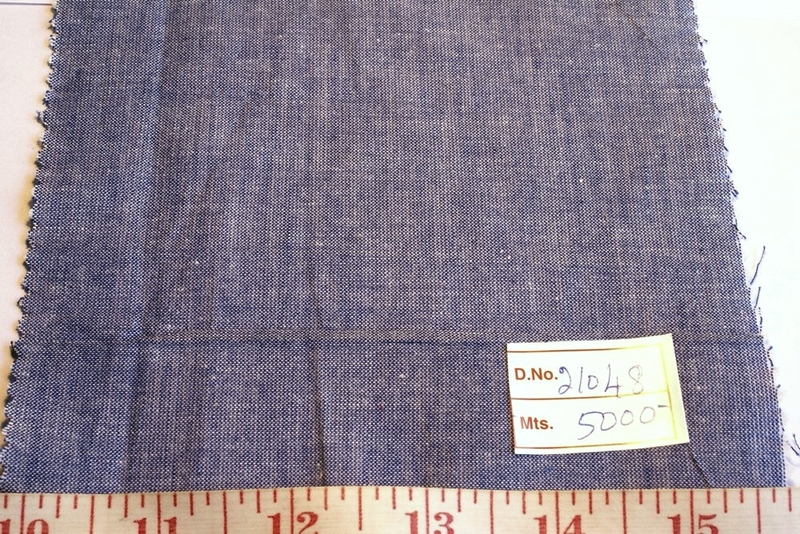 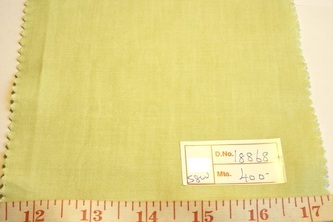 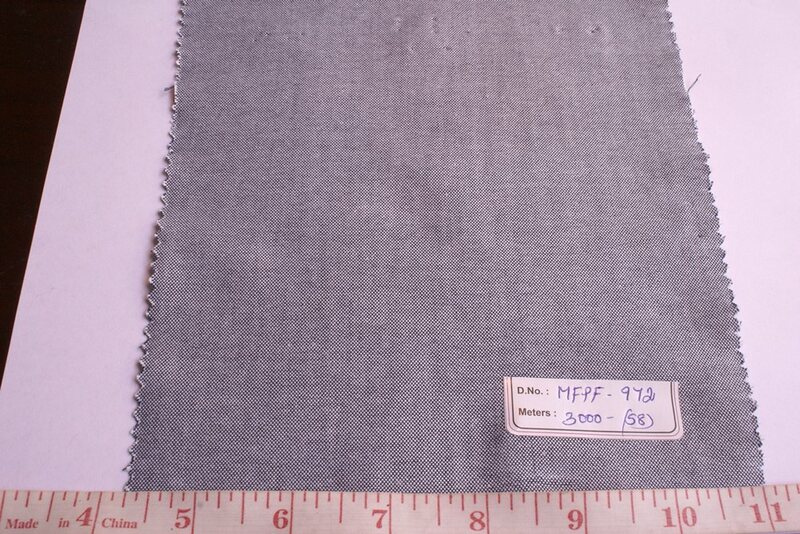 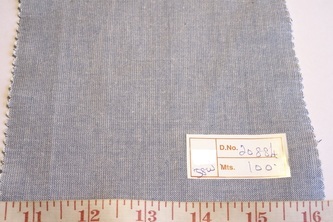 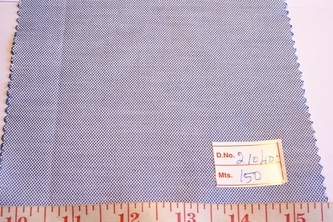 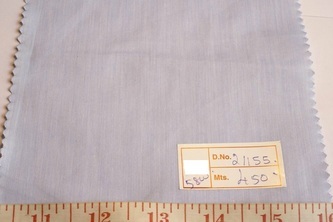 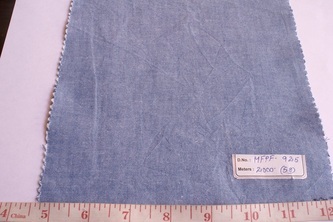 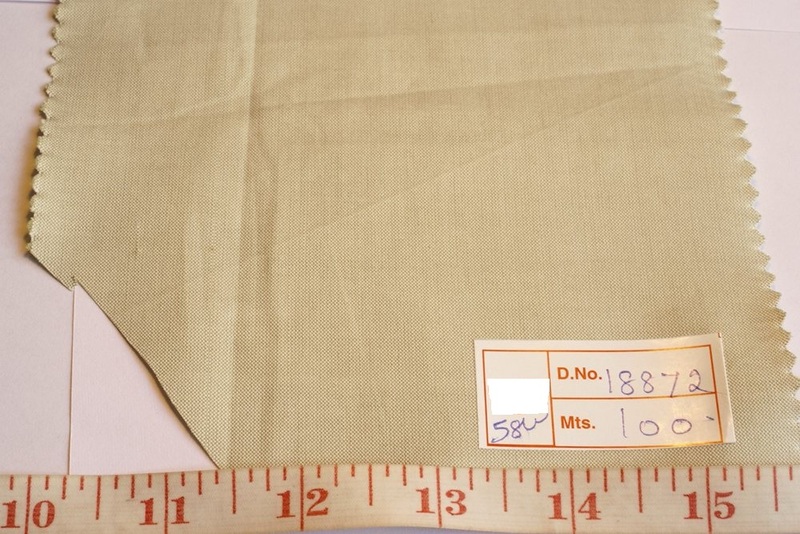 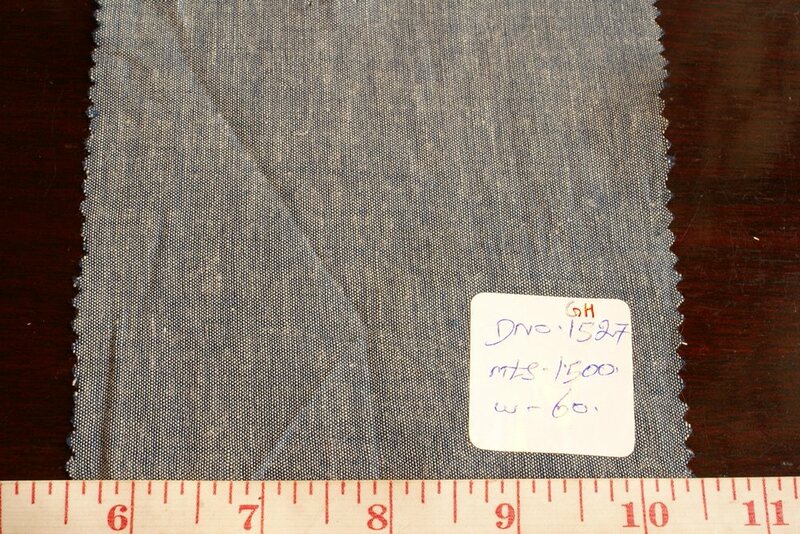 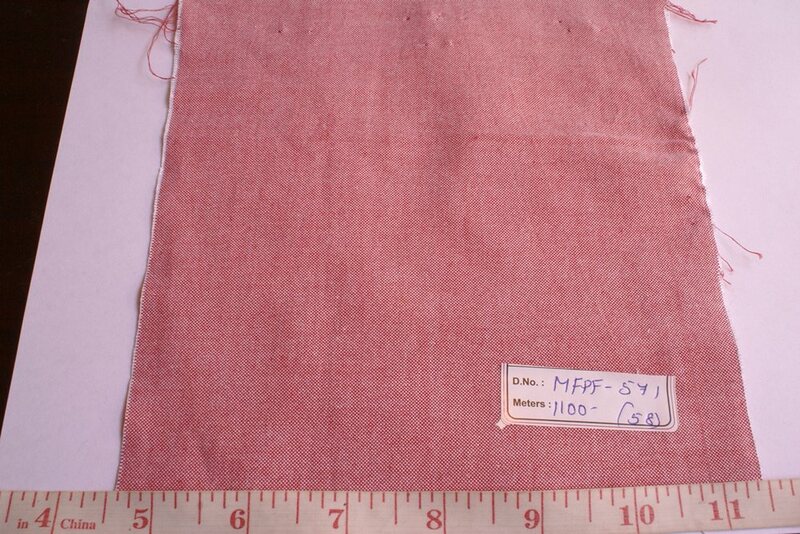 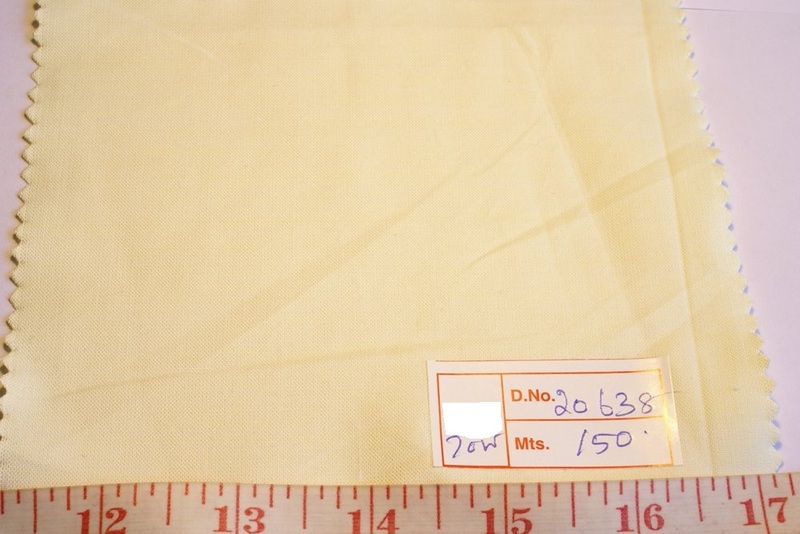 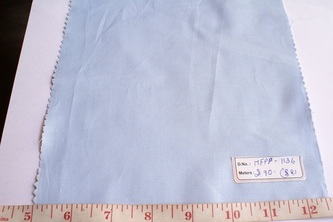 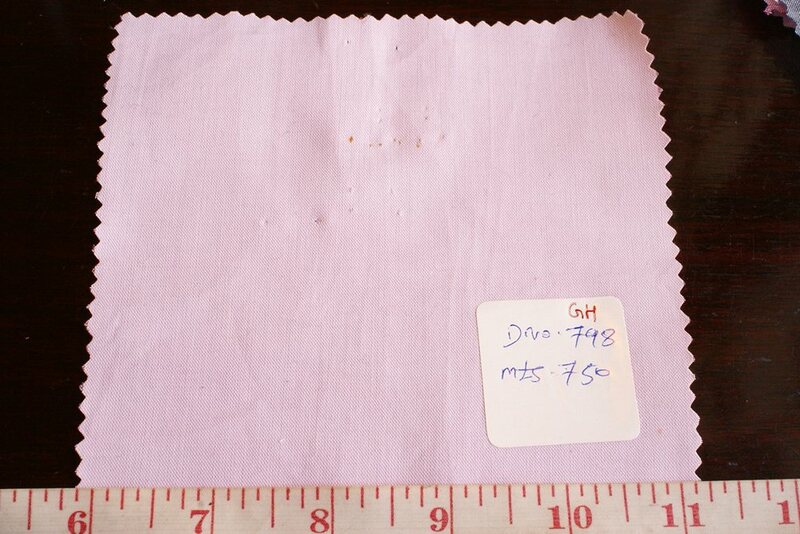 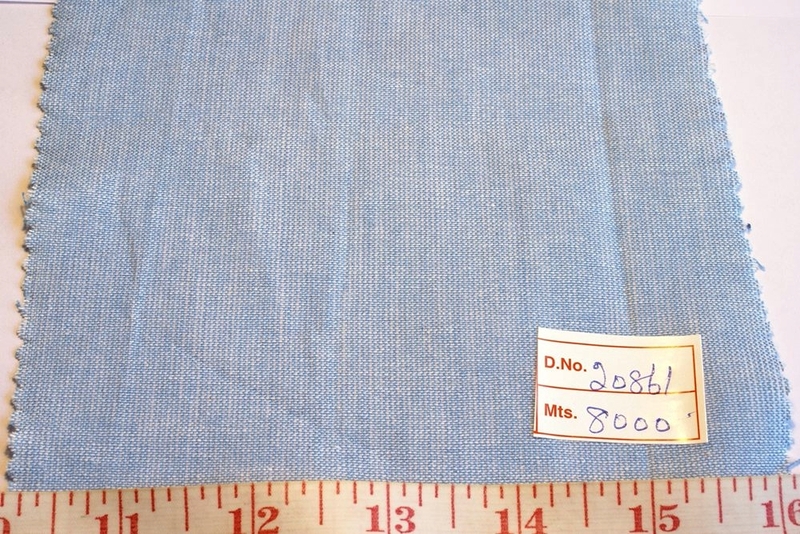 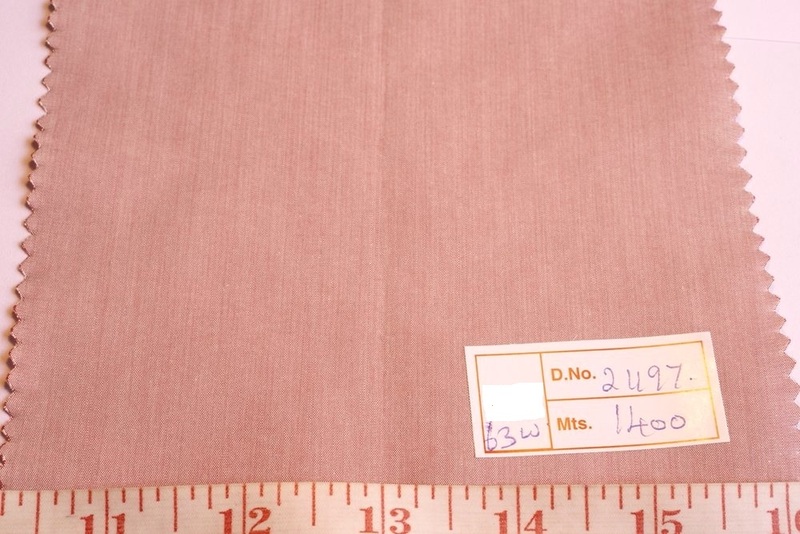 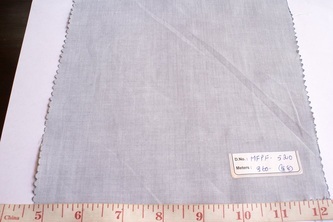 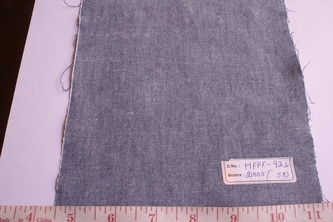 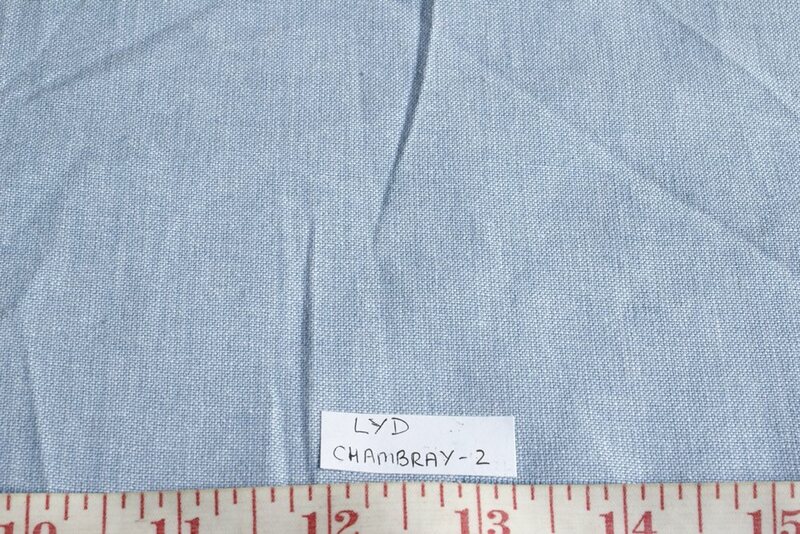 Chambray Fabric is a woven fabric, and is usually woven with 100% cotton yarn threads. A colored or dyed yarn is inter-woven with a white yarn thread. 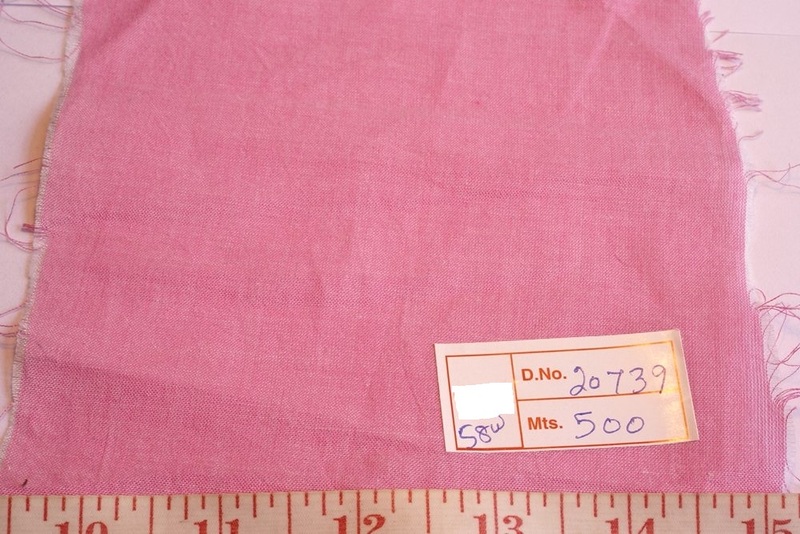 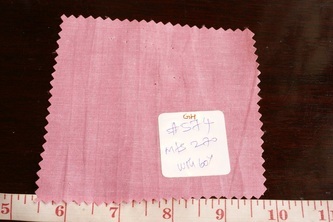 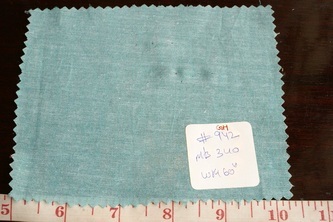 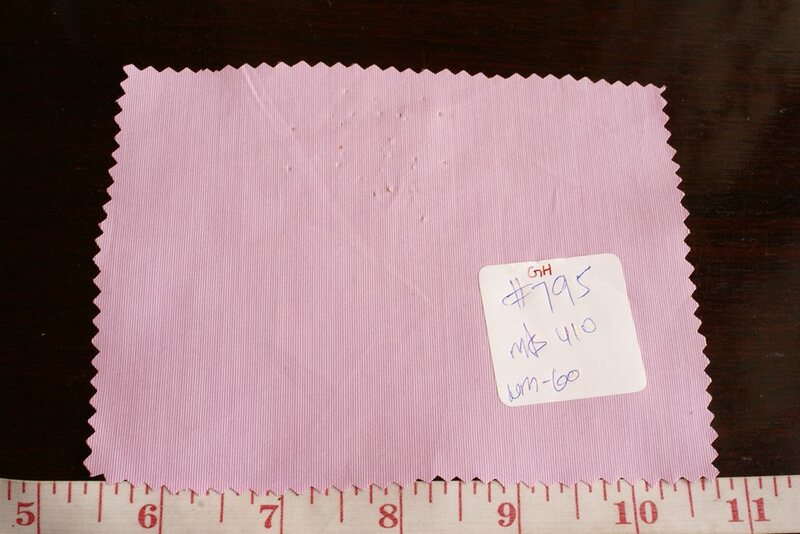 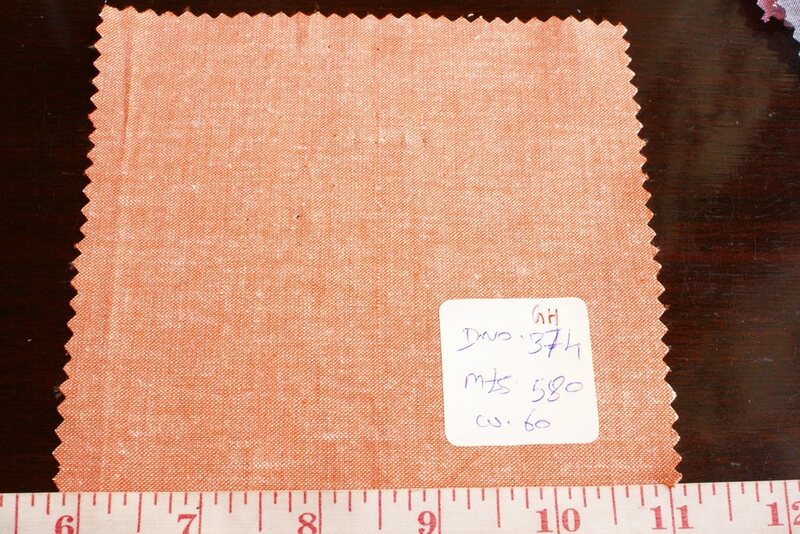 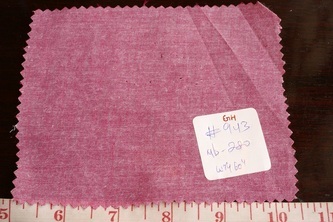 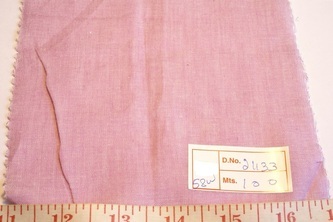 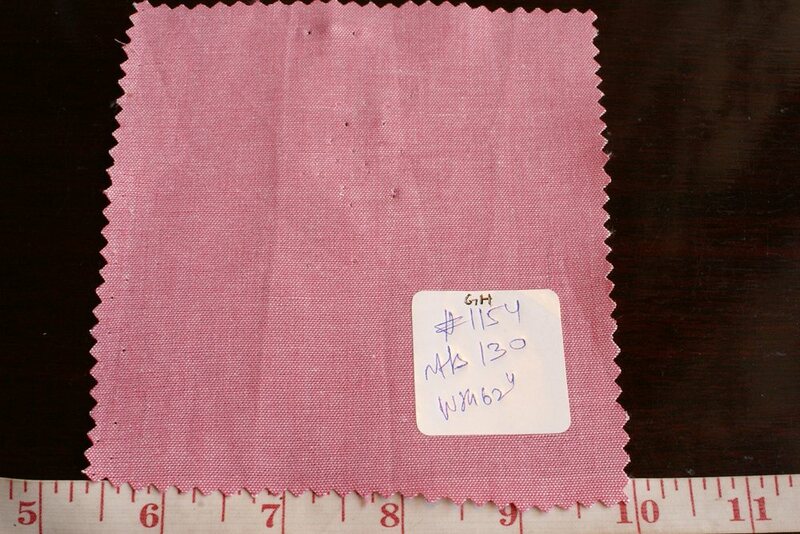 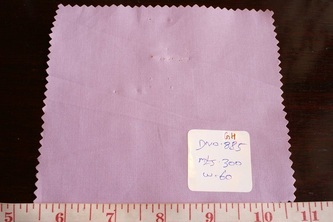 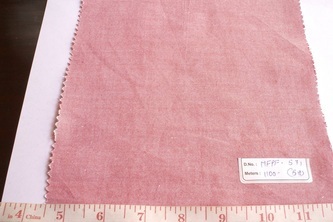 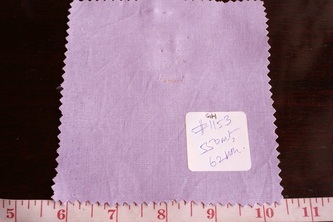 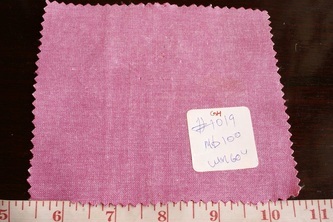 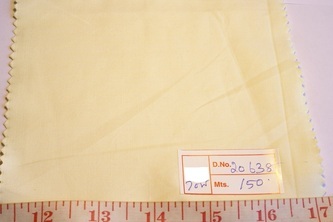 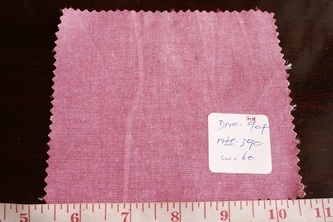 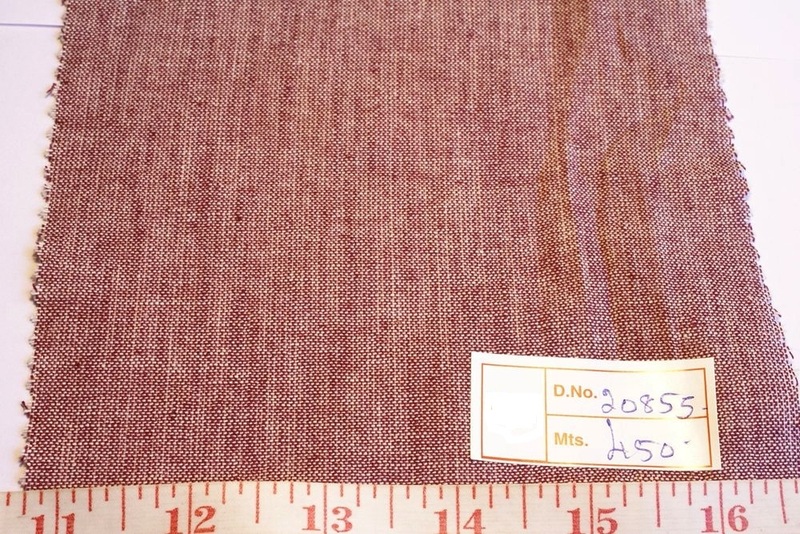 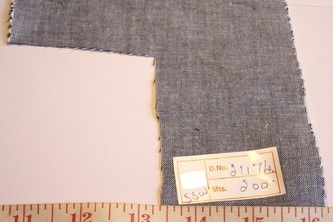 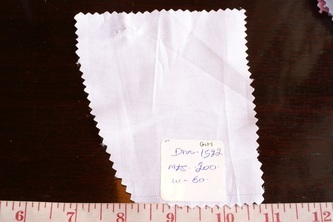 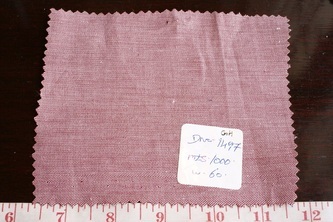 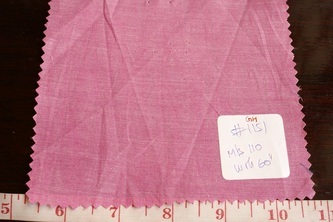 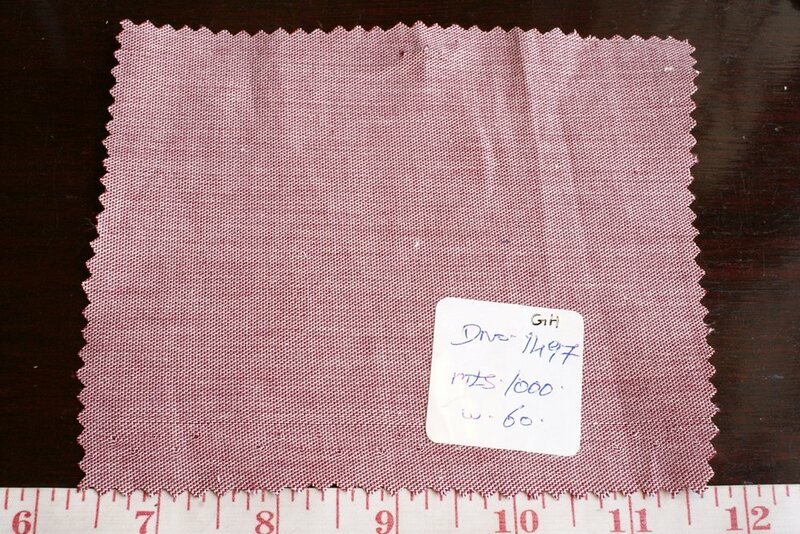 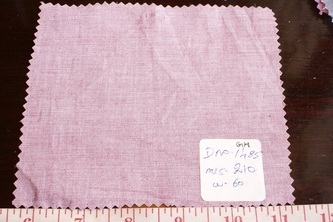 Commonly used colors for weaving chambray fabric, are light to medium blue (denim blue), soft pink and red, as well as light aqua and khaki colors. 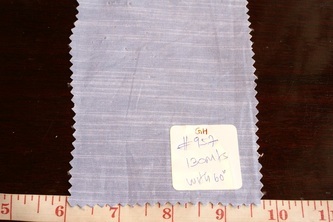 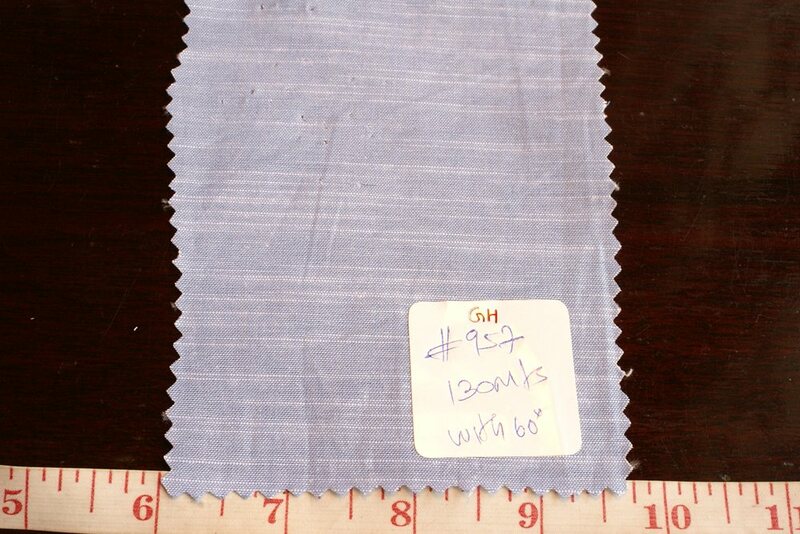 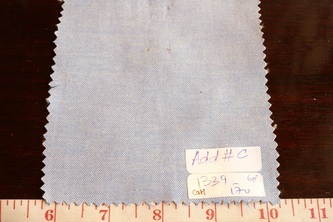 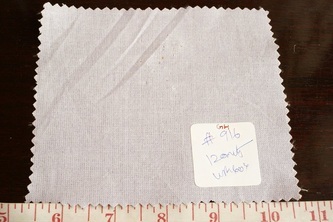 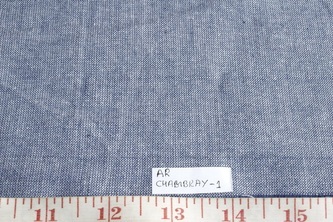 Chambray fabric is the fabric of choice for summer collections in men's shirts, tops, loose pants and shorts. 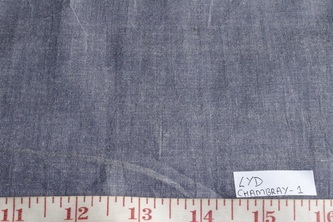 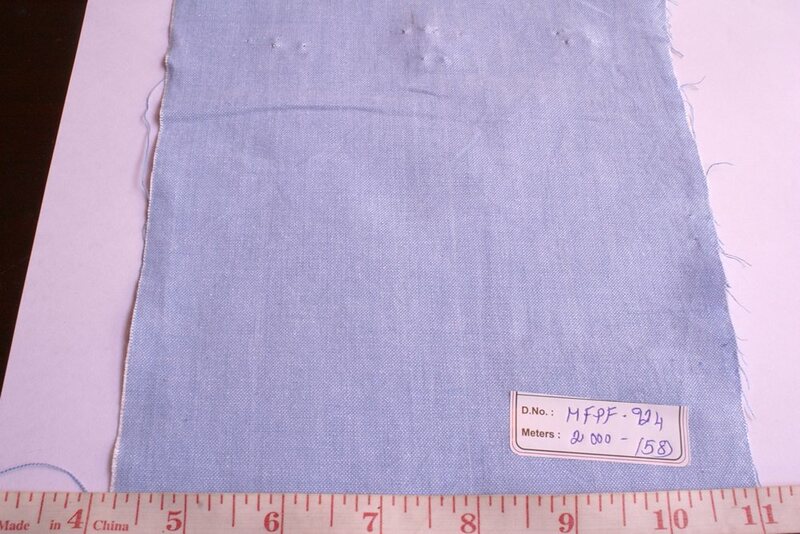 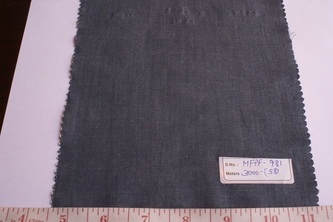 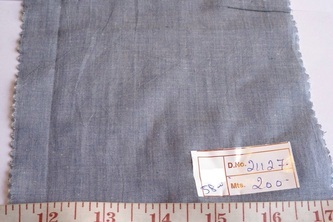 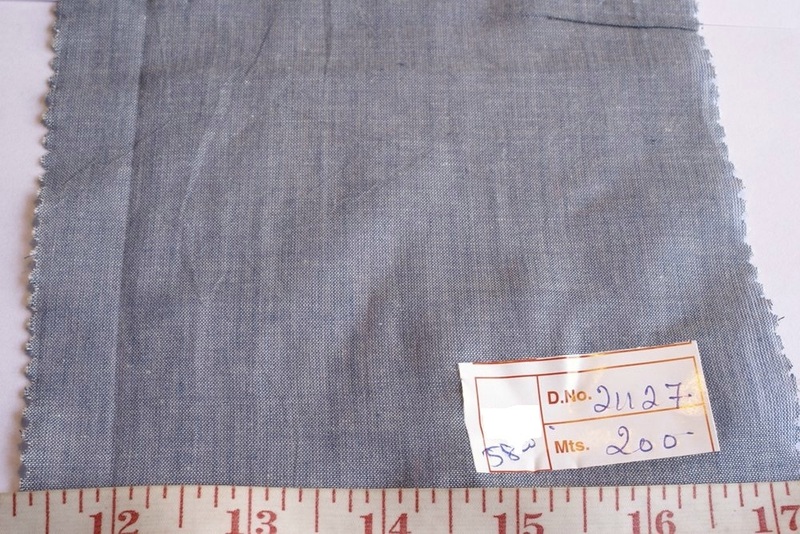 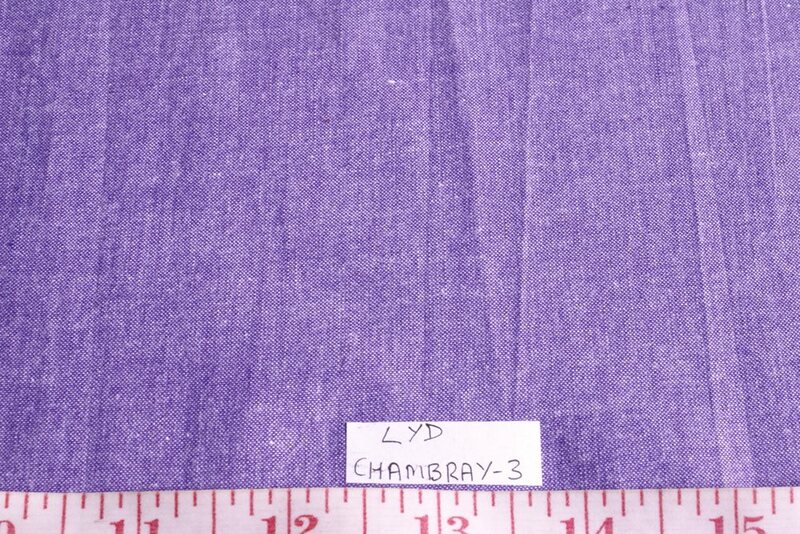 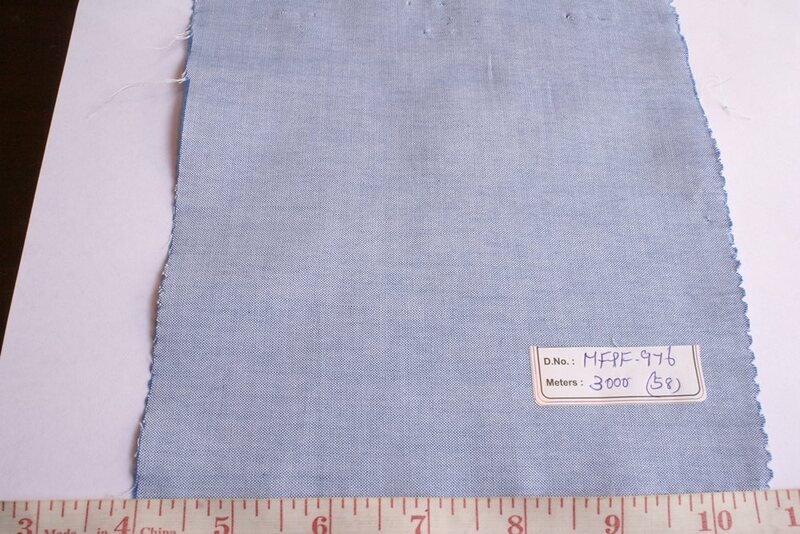 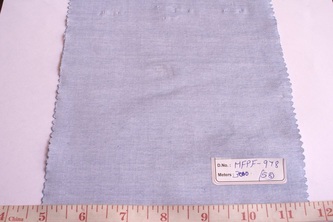 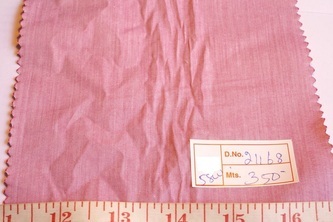 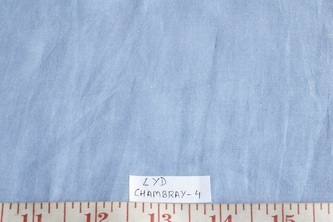 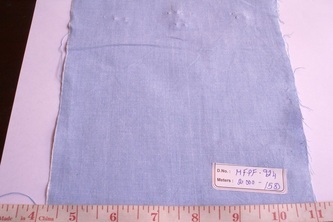 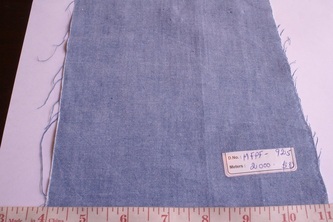 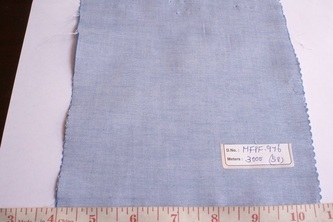 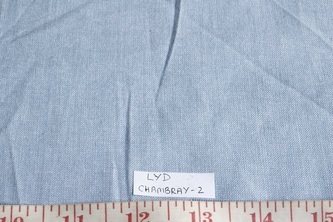 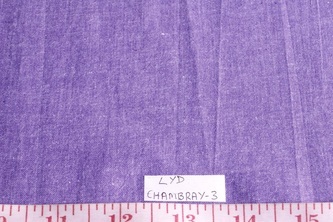 Chambray is also used for women's dresses, tops and skirts. 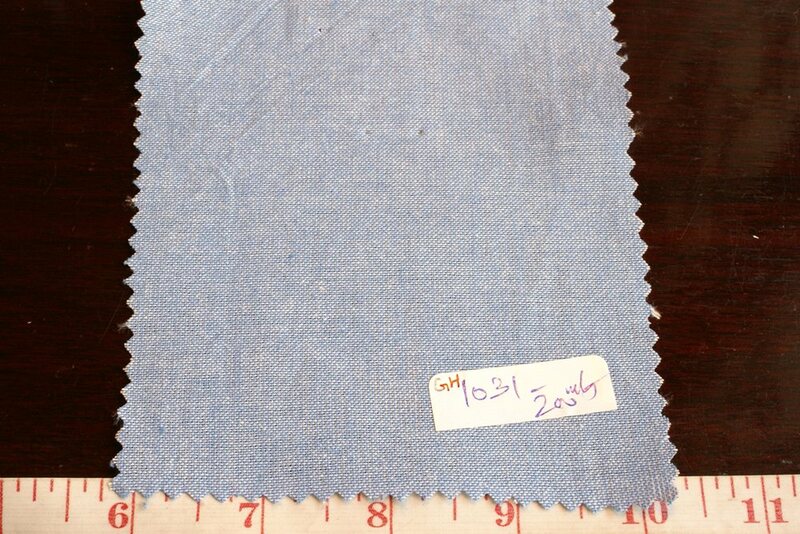 Chambray fabric drapes somewhat, but also has a penchant for creasing and retaining a worn look, much like denim. 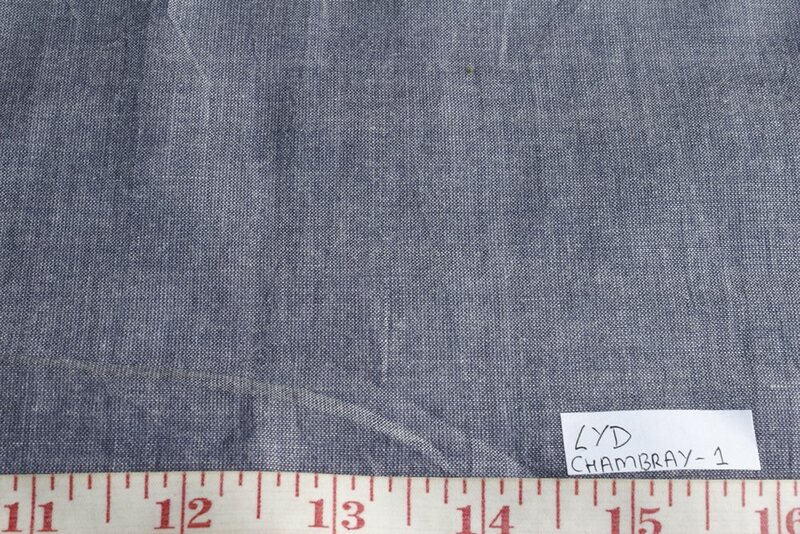 Chambray generally has a faded look, with soft colors, rather than sharp shades. 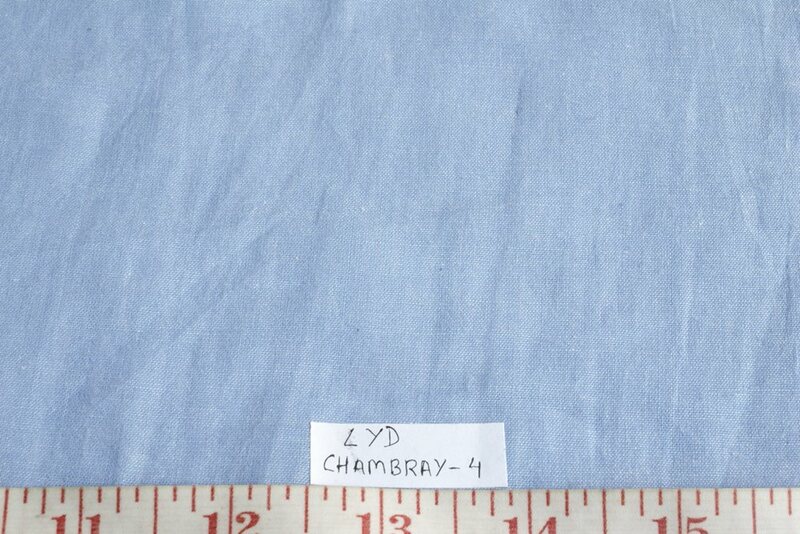 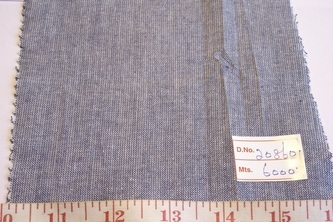 Sometimes chambray is made from linen, silk or other fibers, but most of it is woven with 100% cotton fibers. 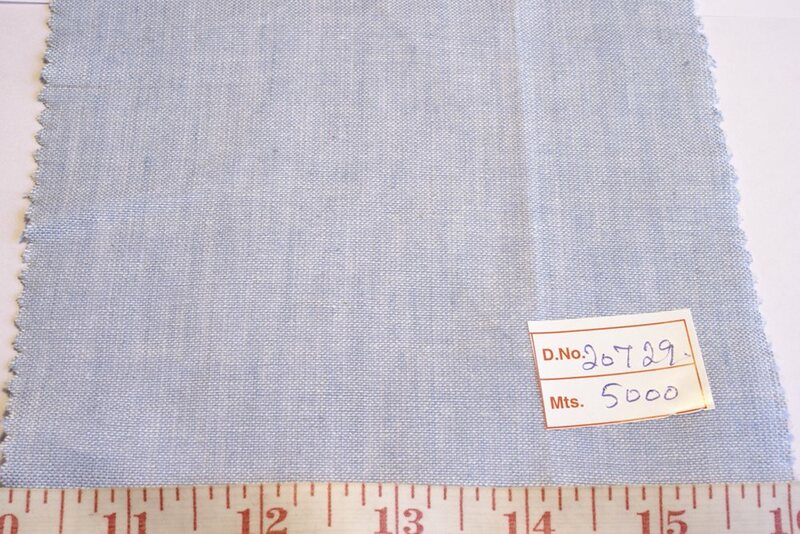 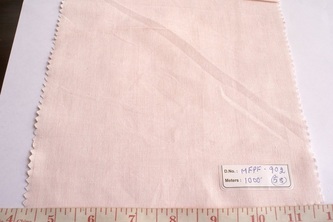 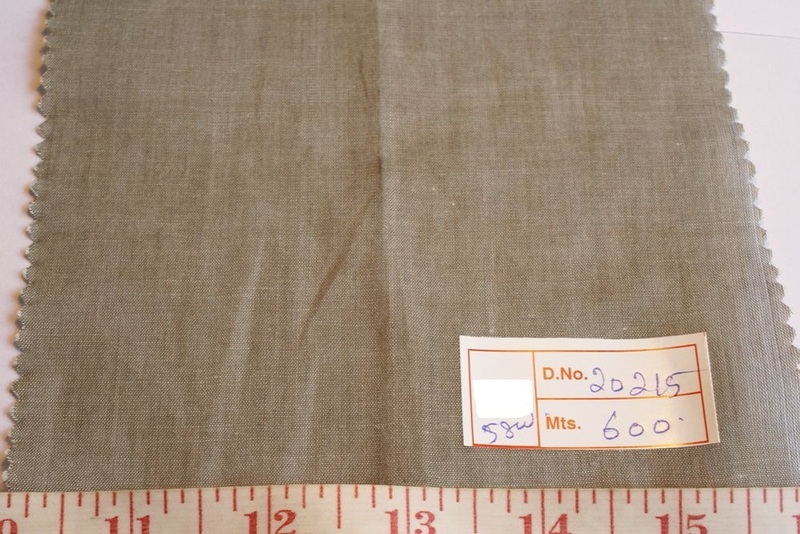 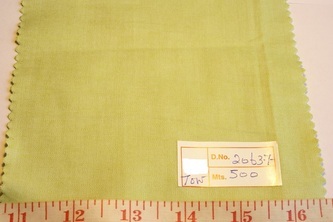 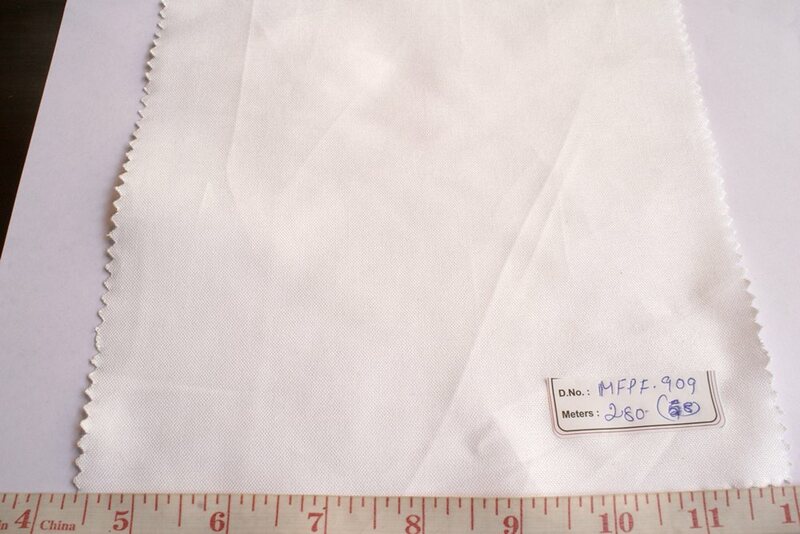 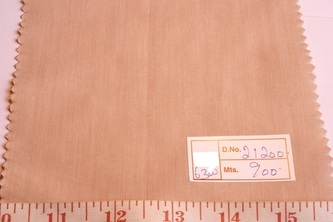 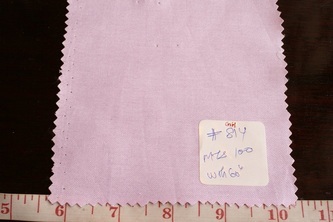 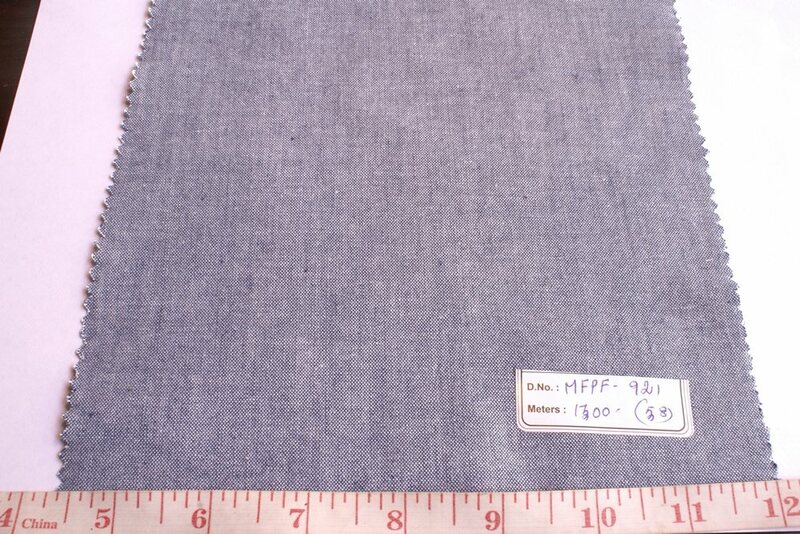 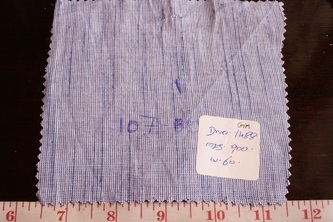 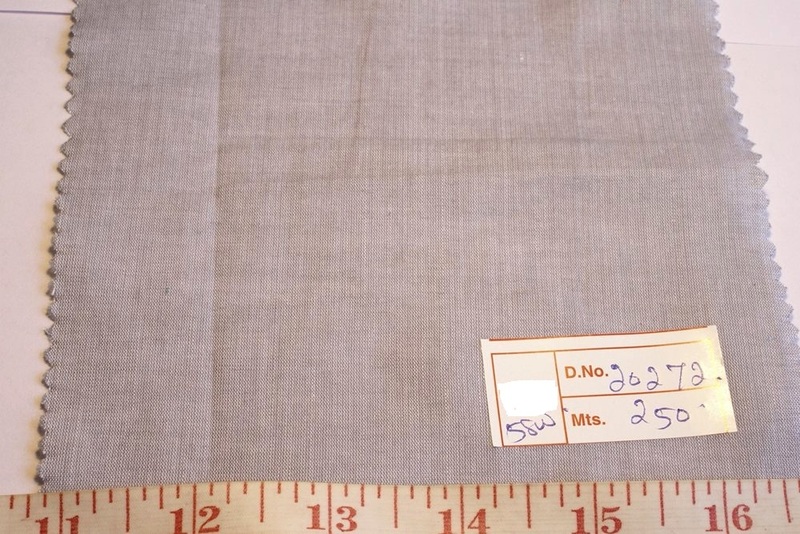 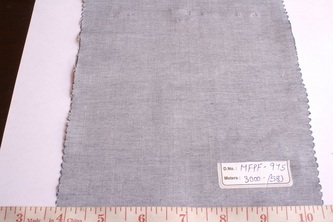 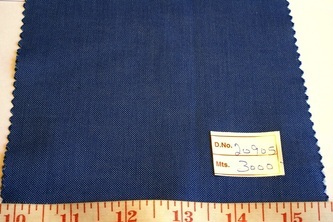 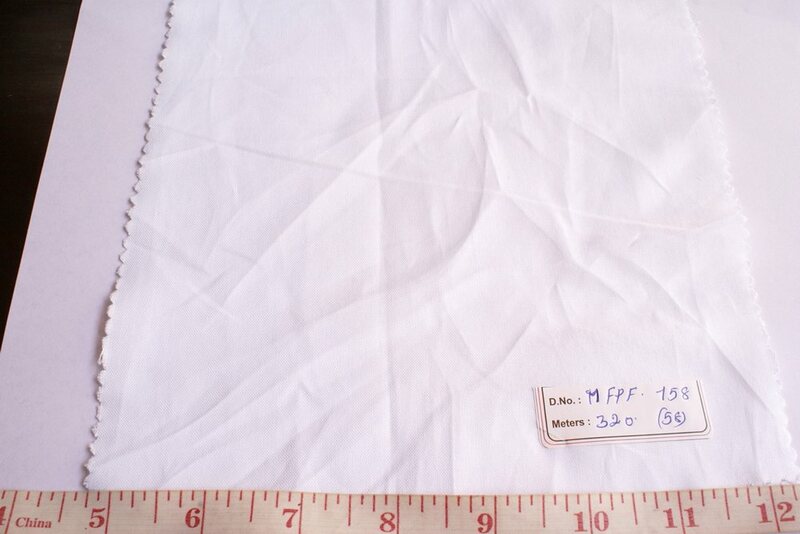 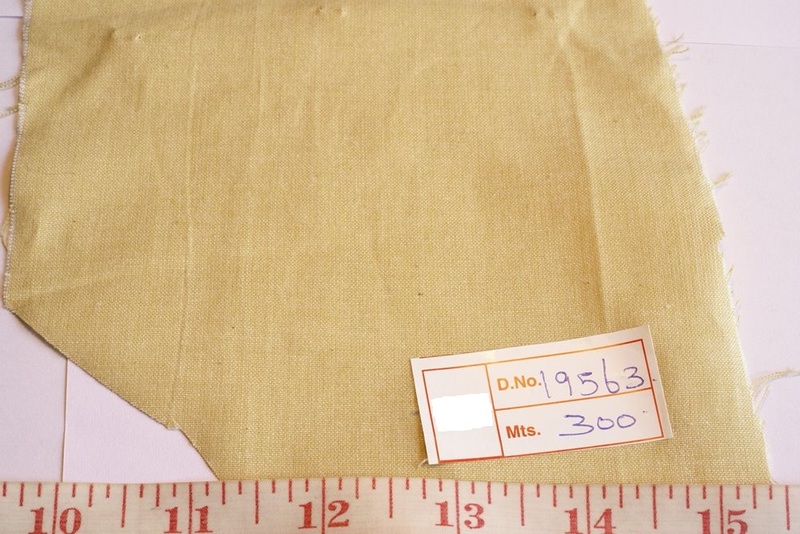 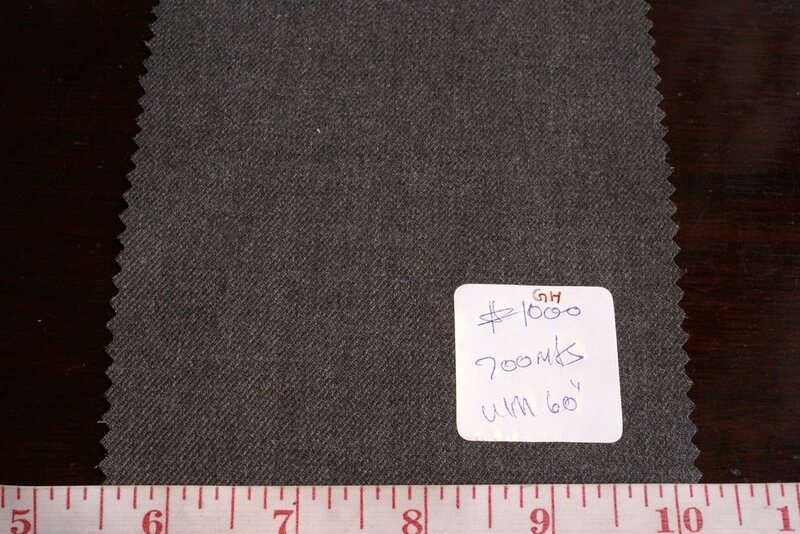 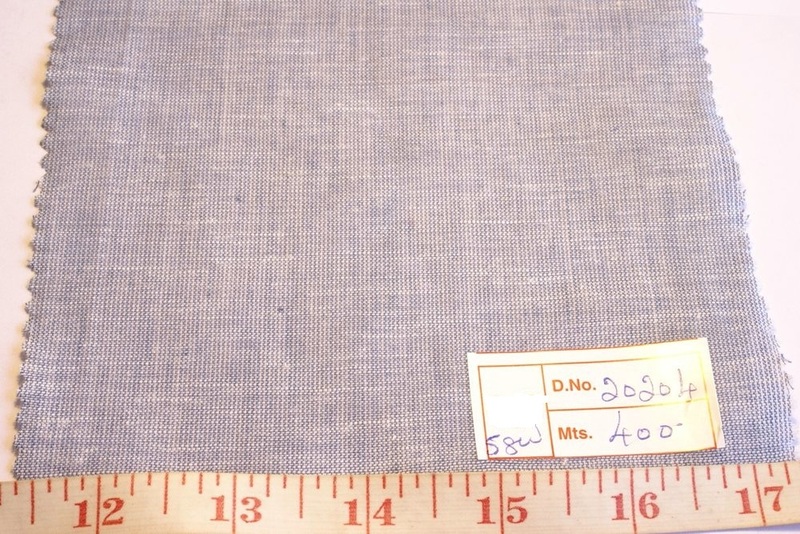 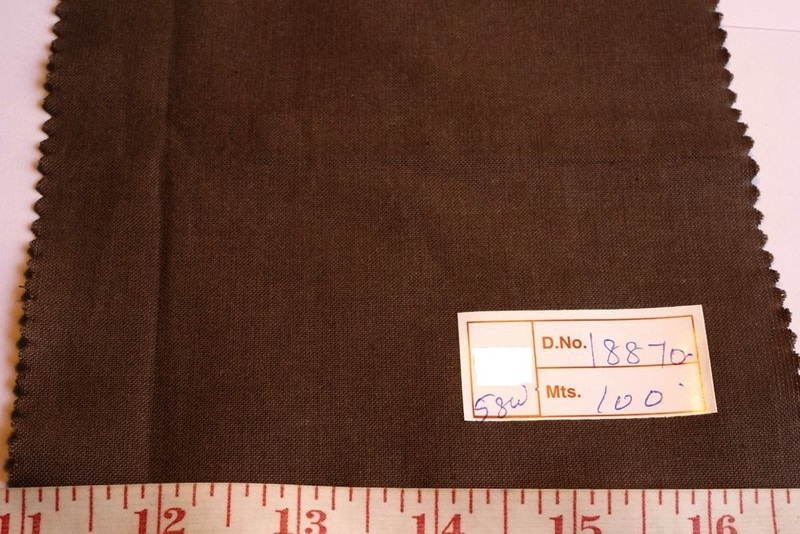 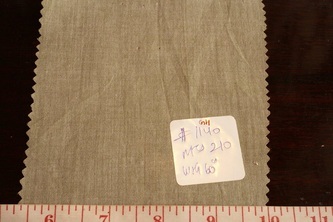 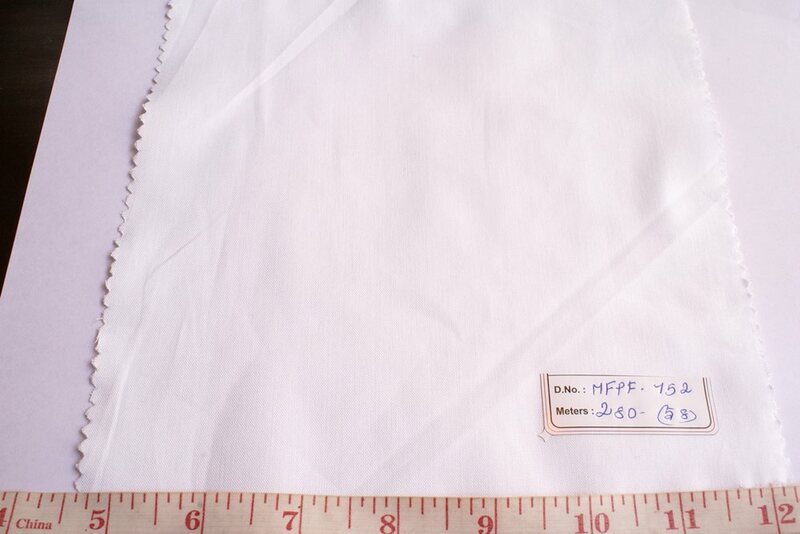 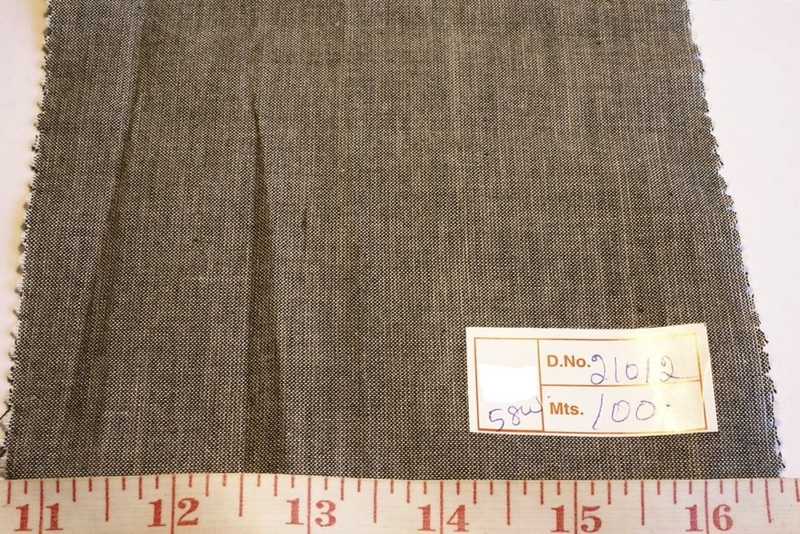 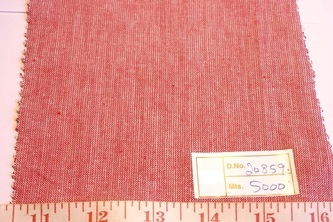 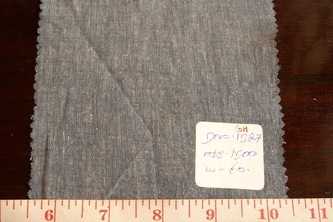 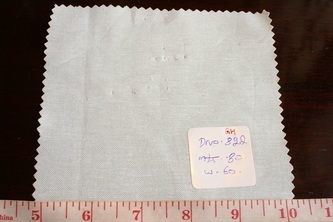 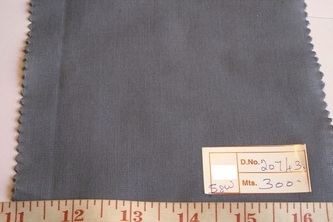 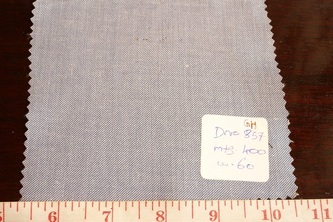 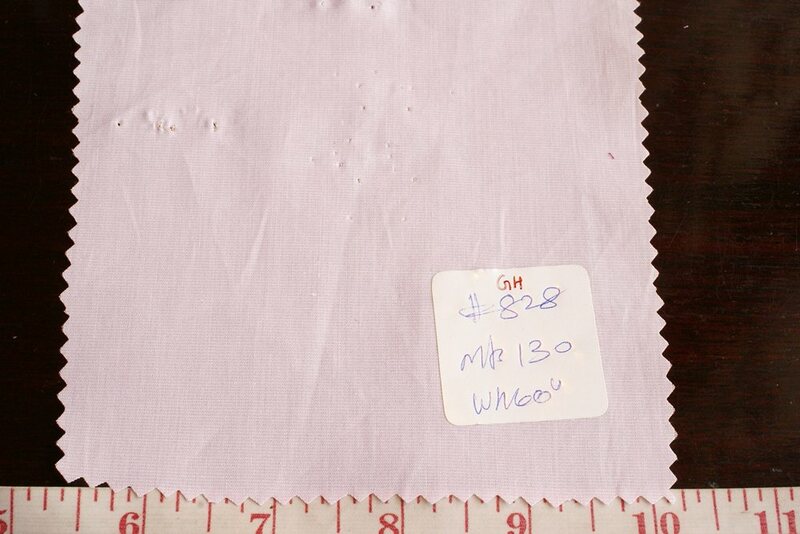 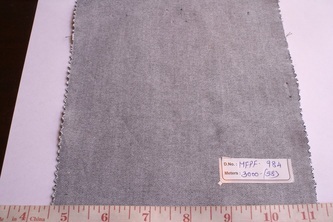 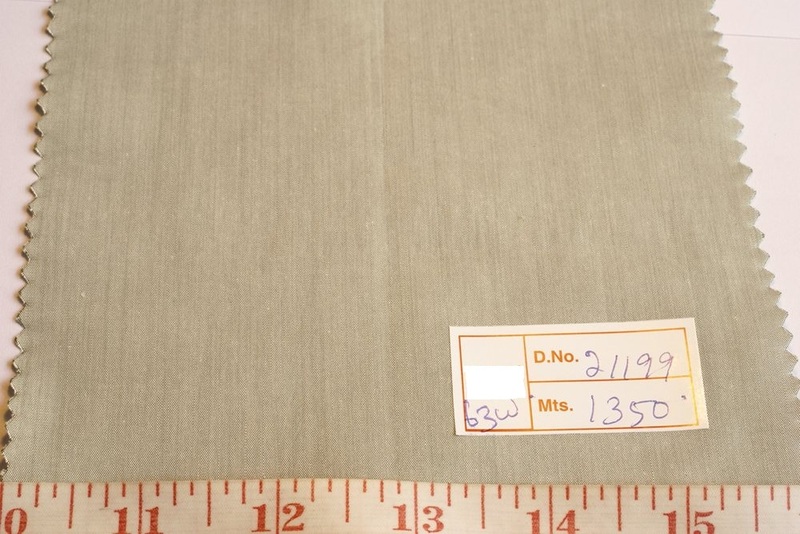 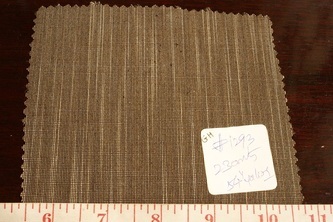 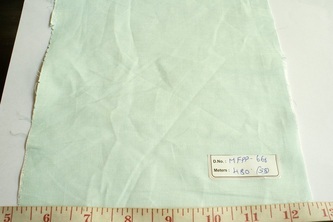 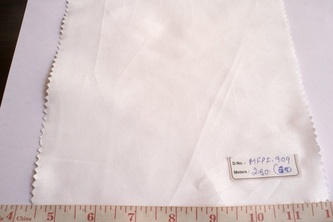 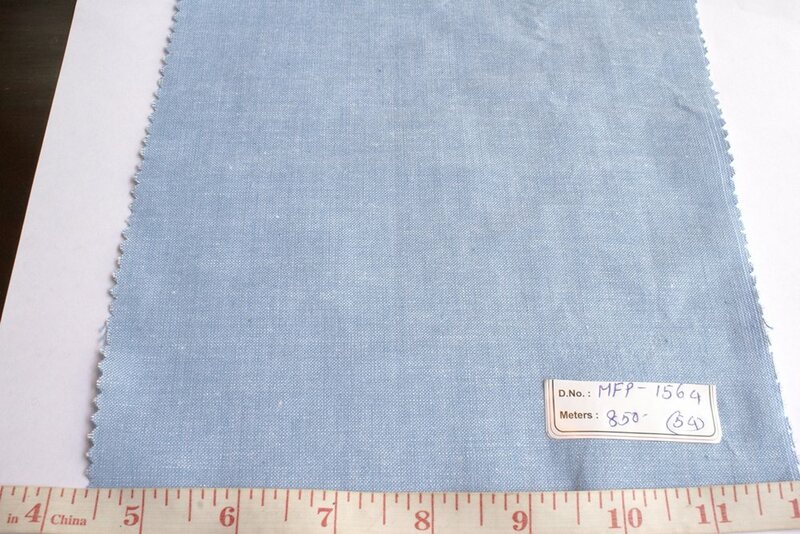 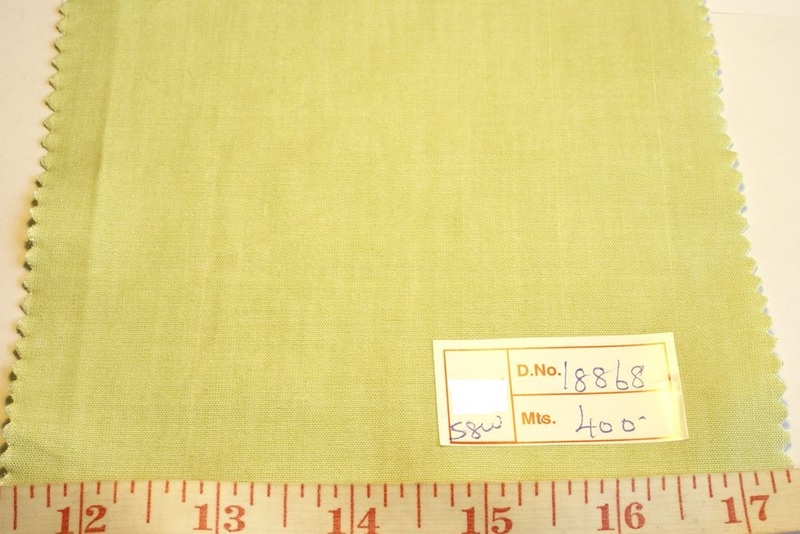 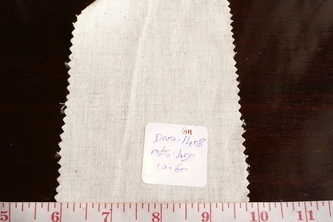 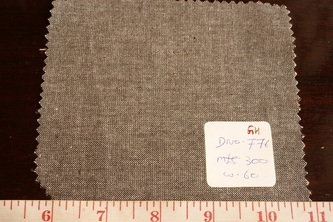 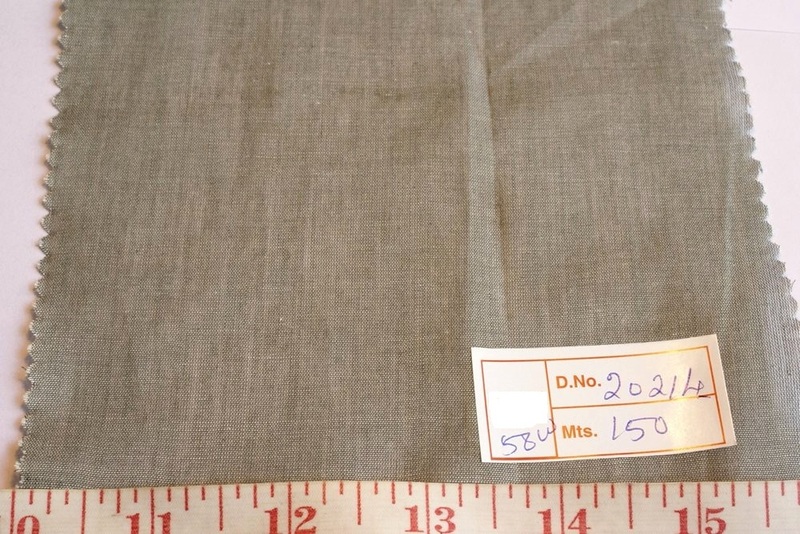 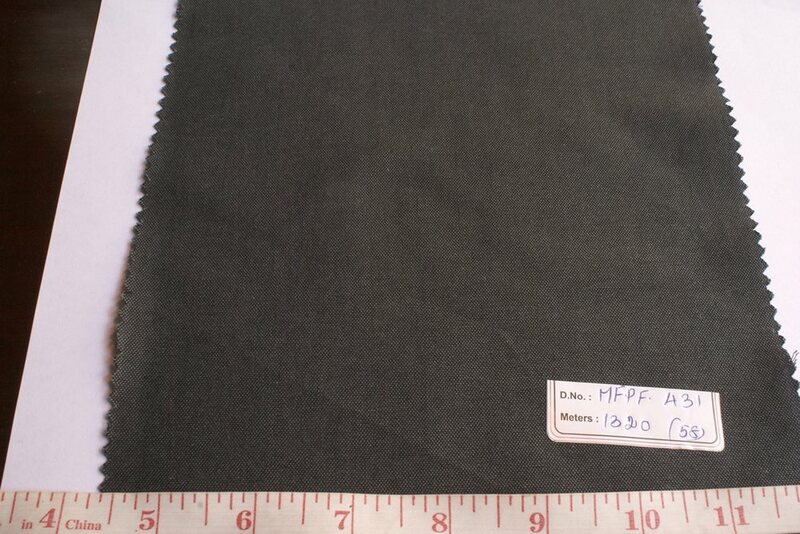 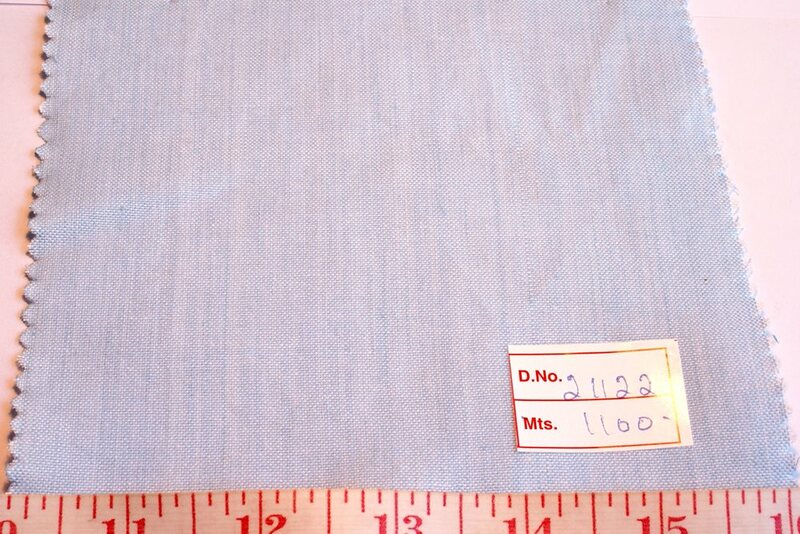 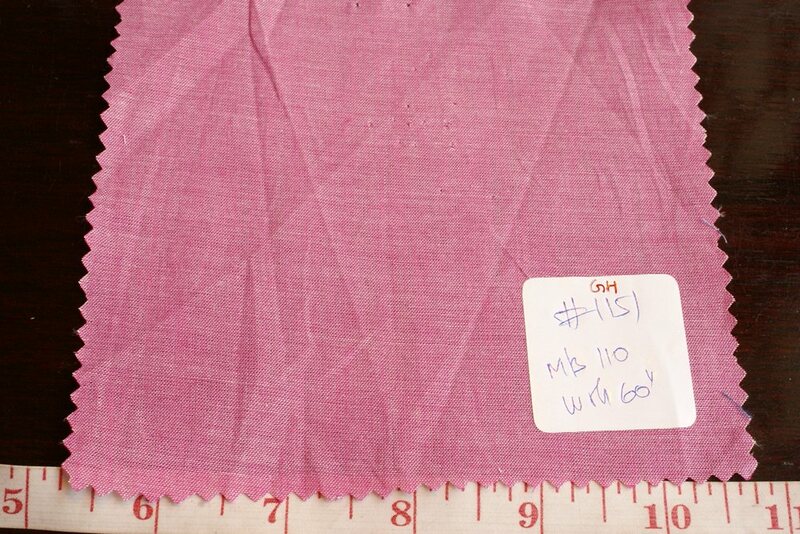 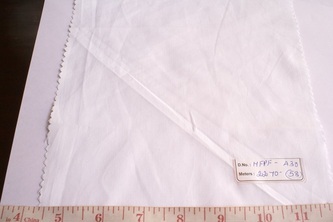 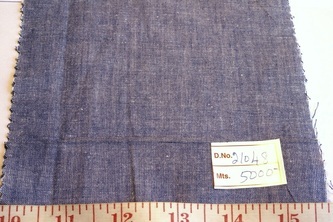 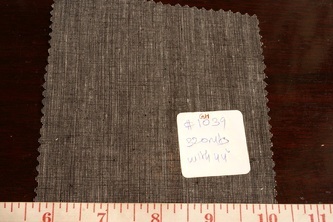 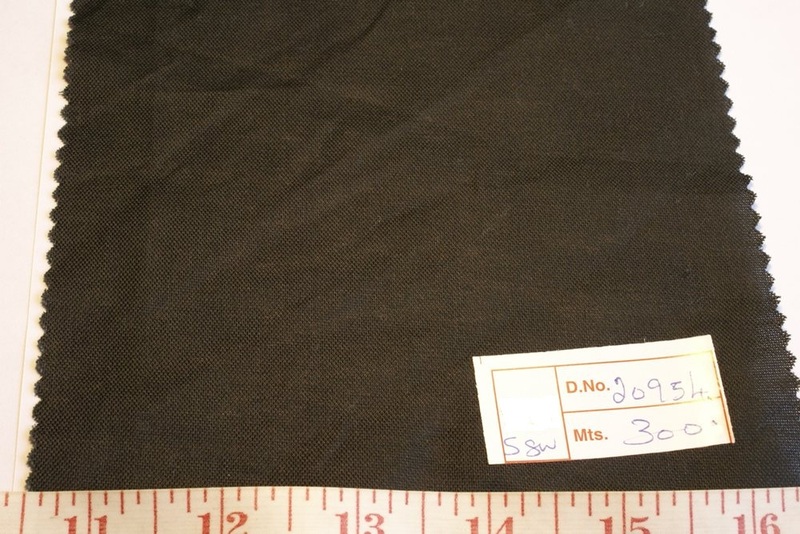 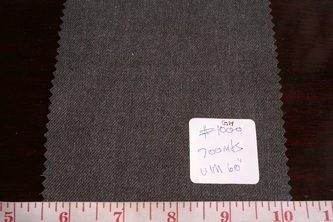 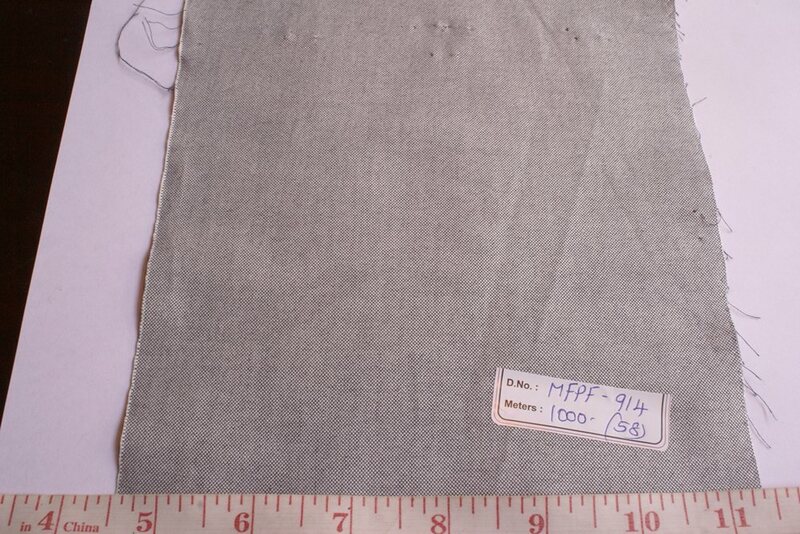 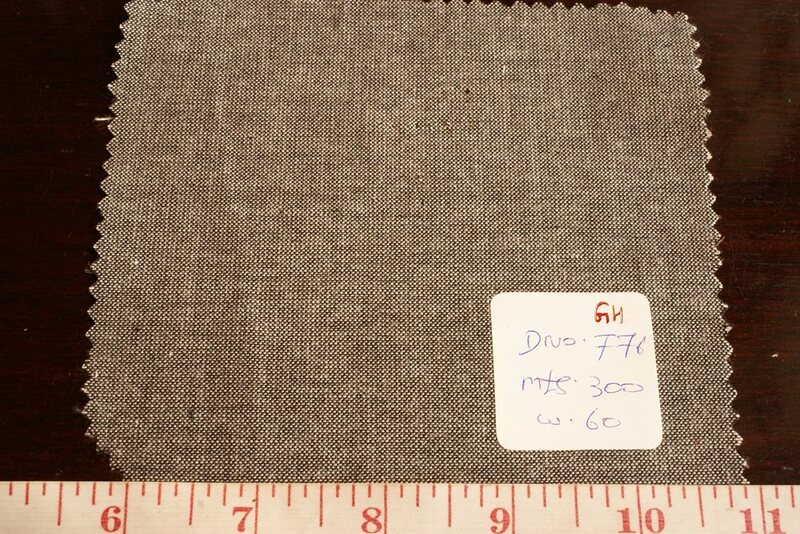 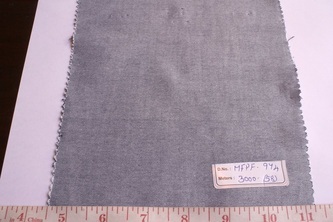 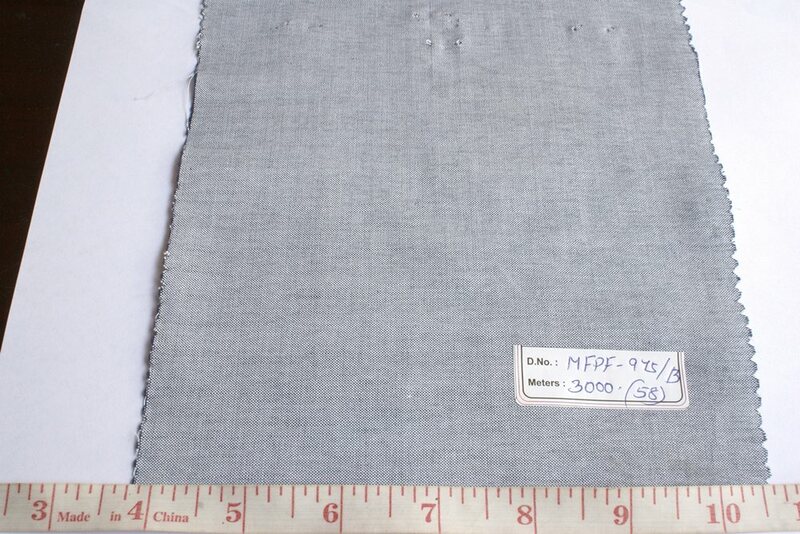 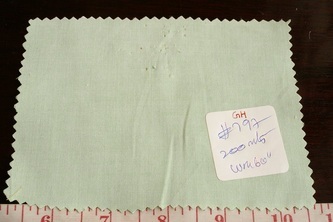 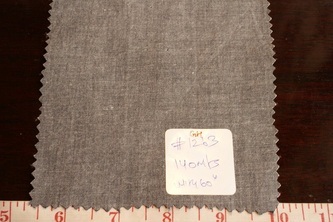 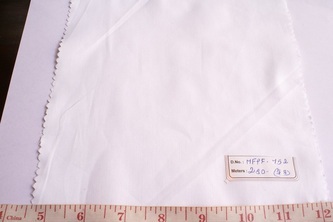 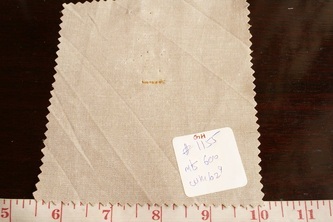 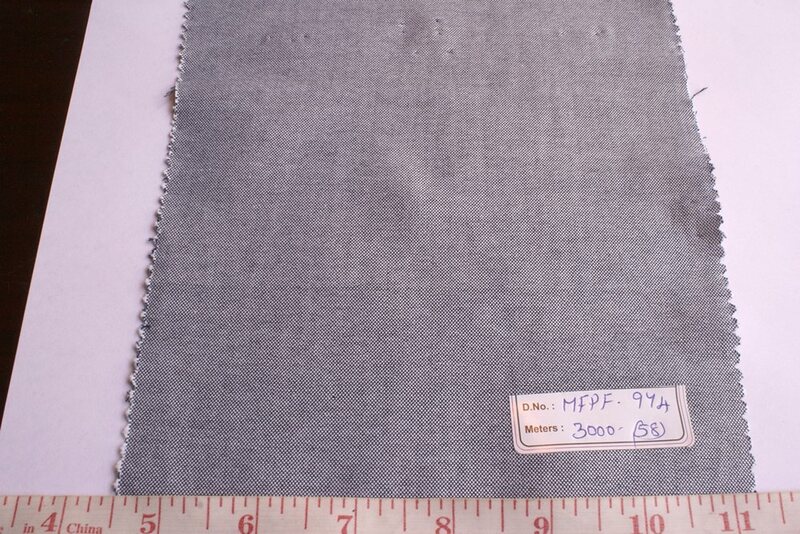 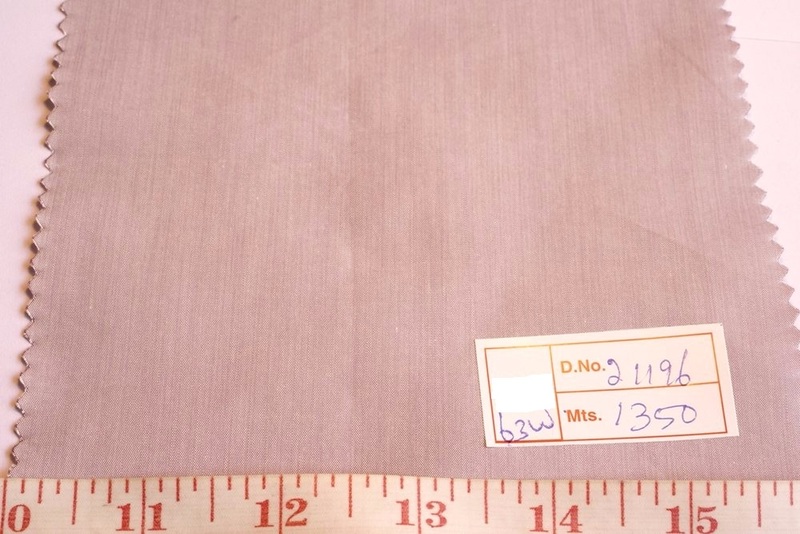 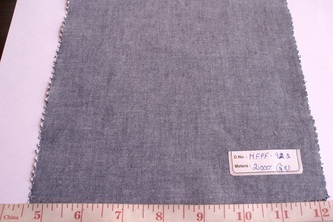 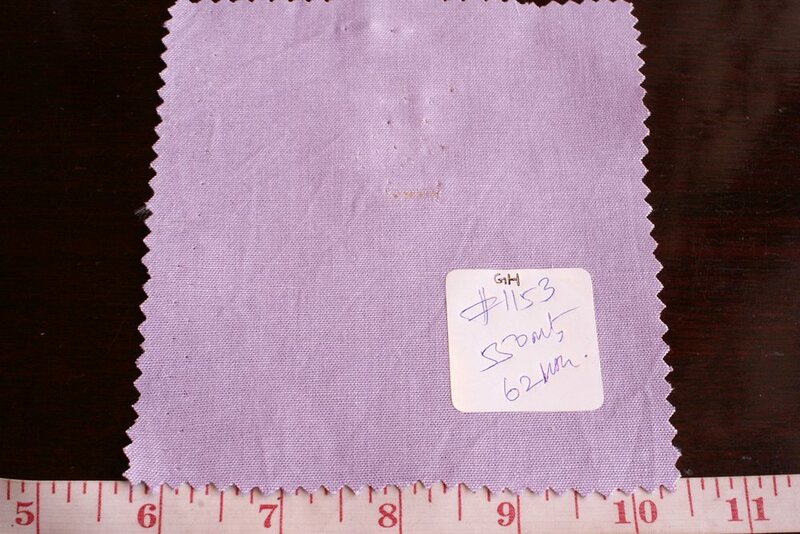 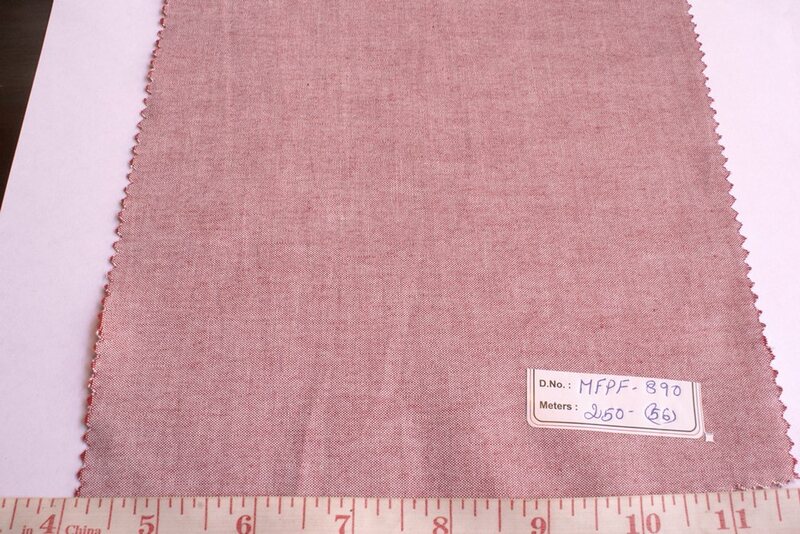 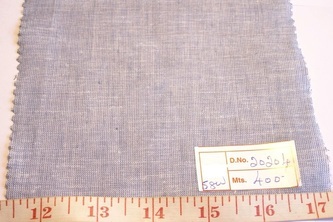 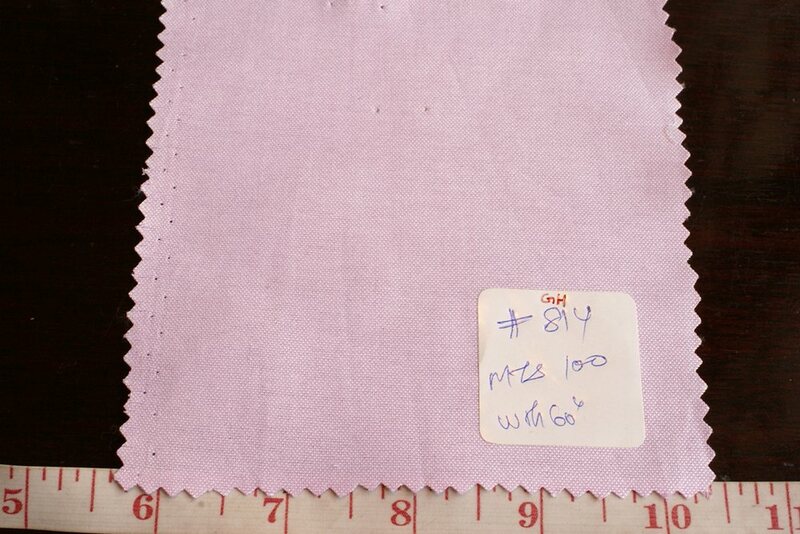 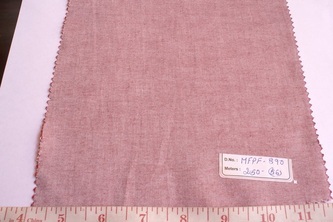 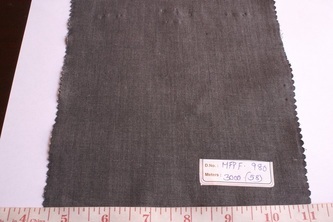 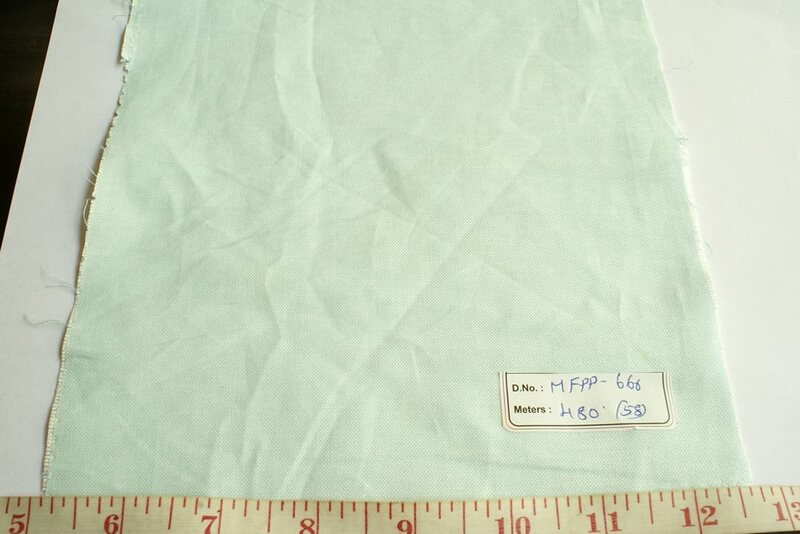 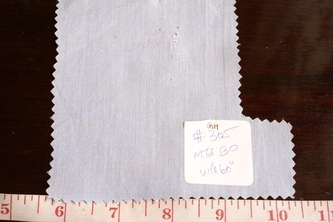 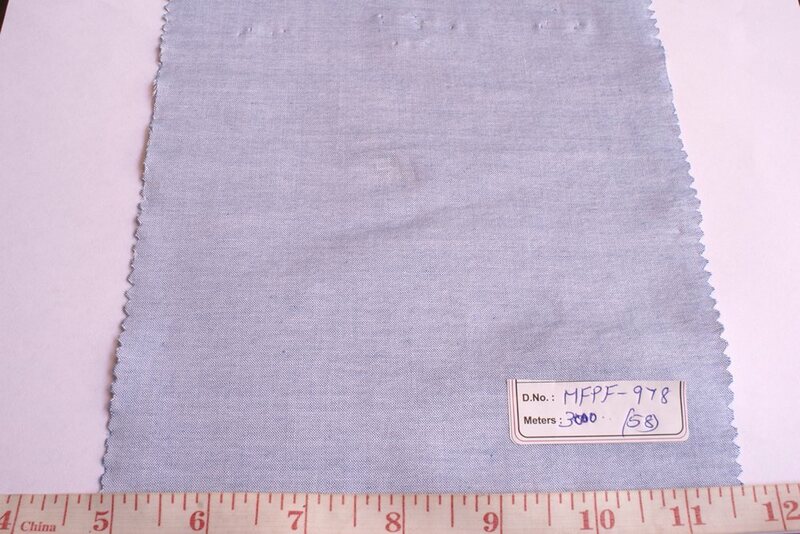 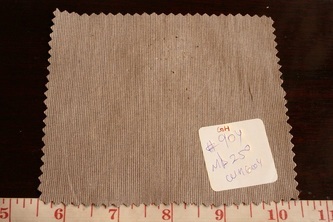 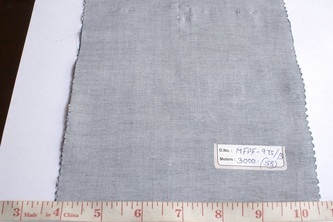 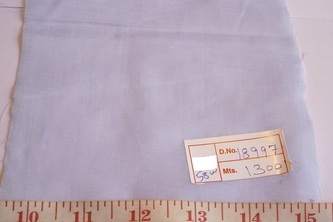 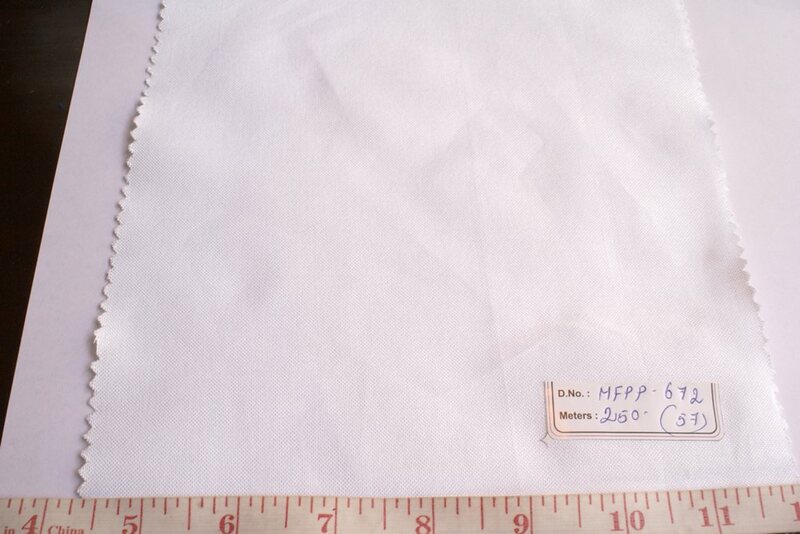 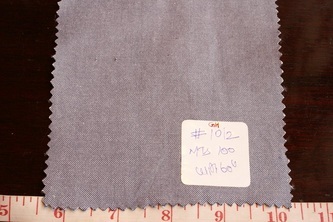 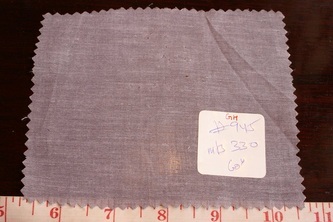 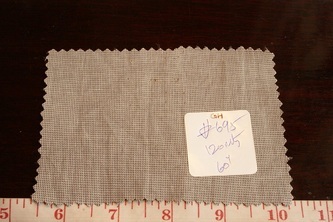 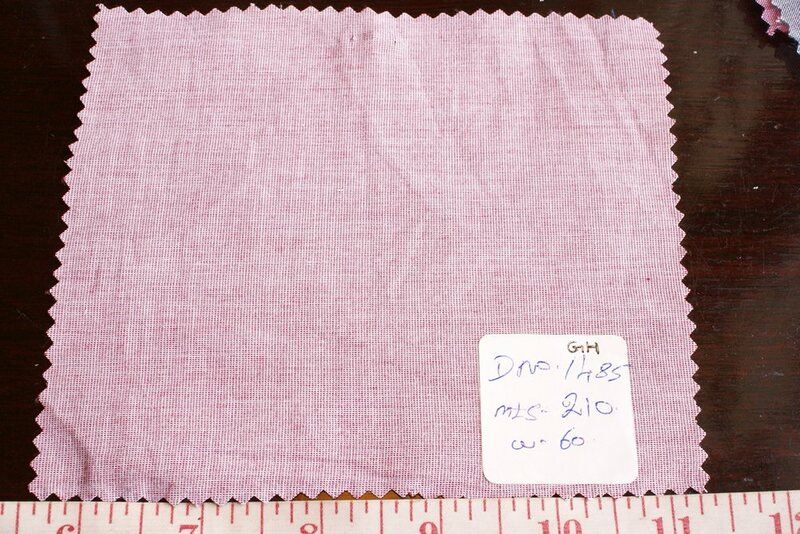 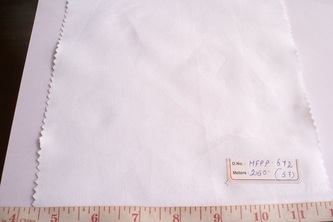 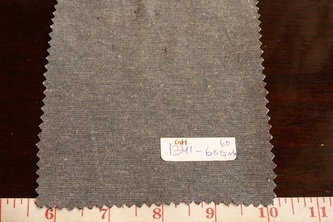 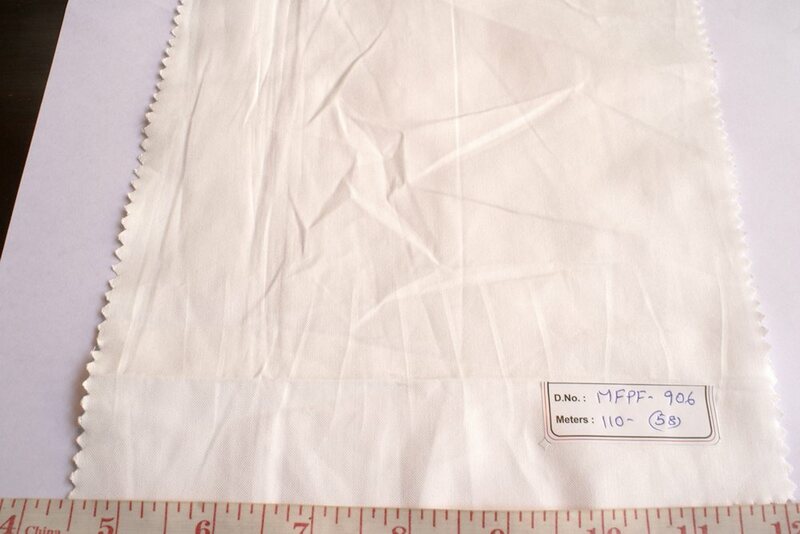 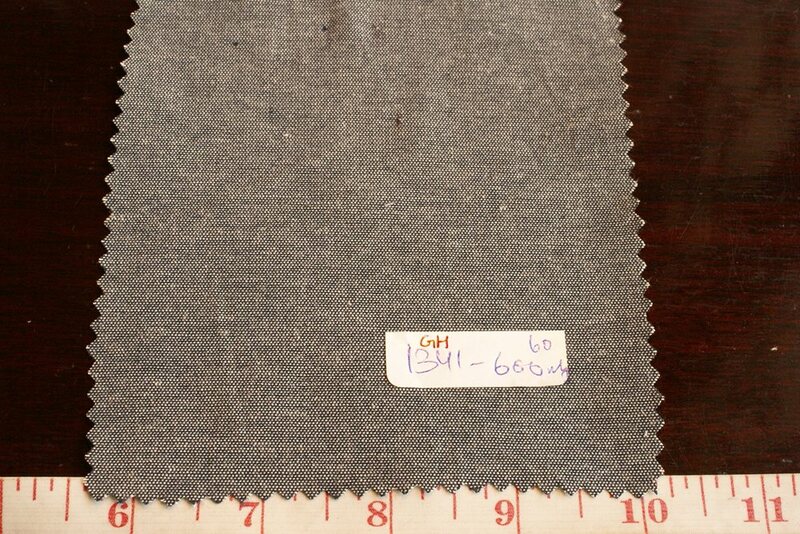 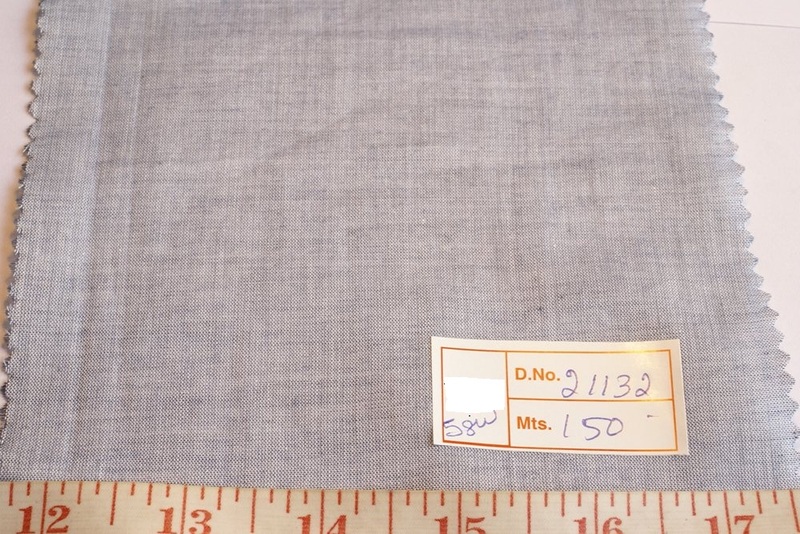 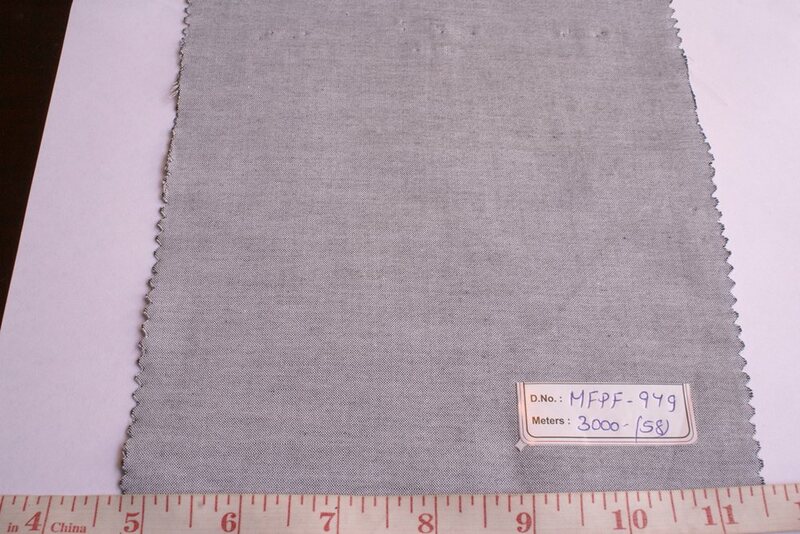 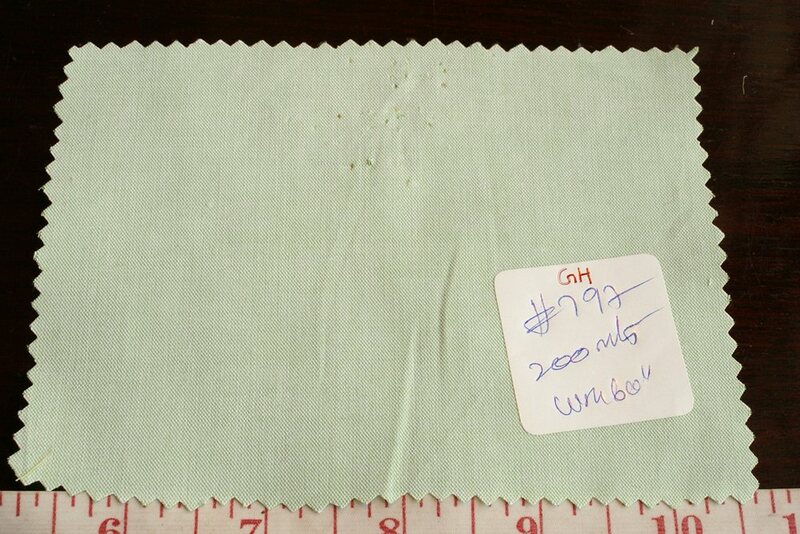 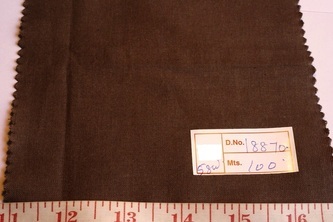 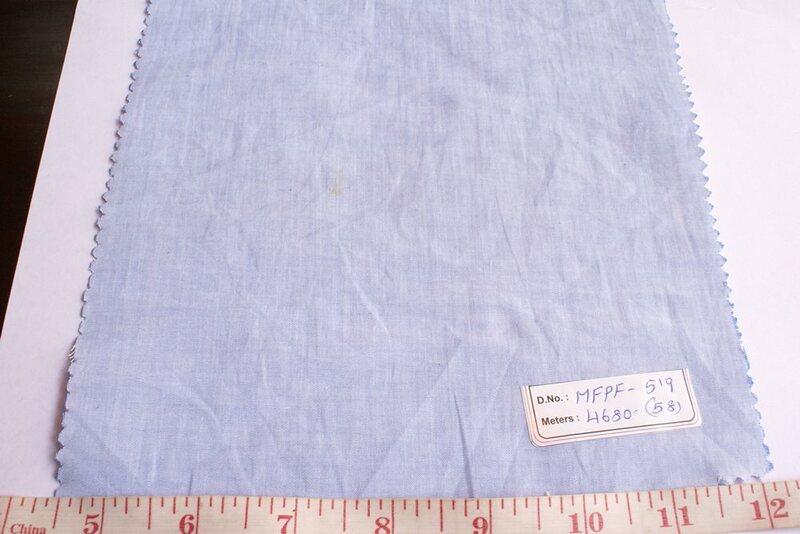 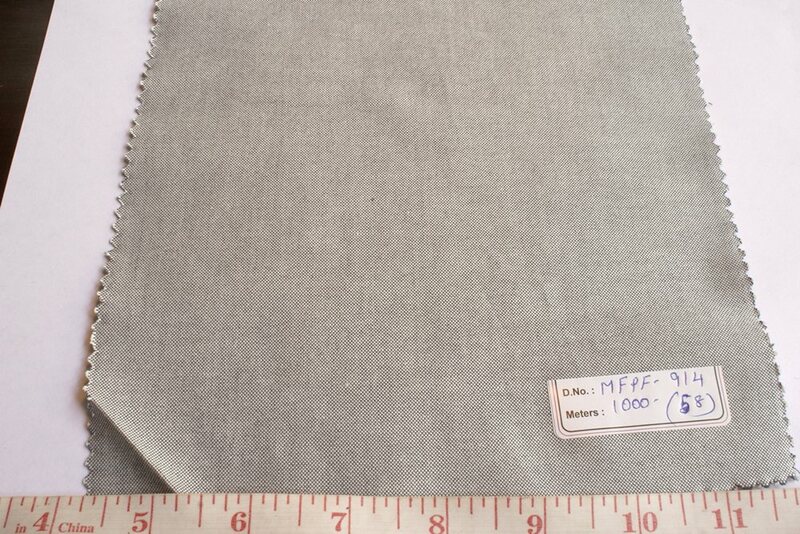 Atlantis Chambray fabrics are from India and are usually mill woven for consistency in weaves and colors.